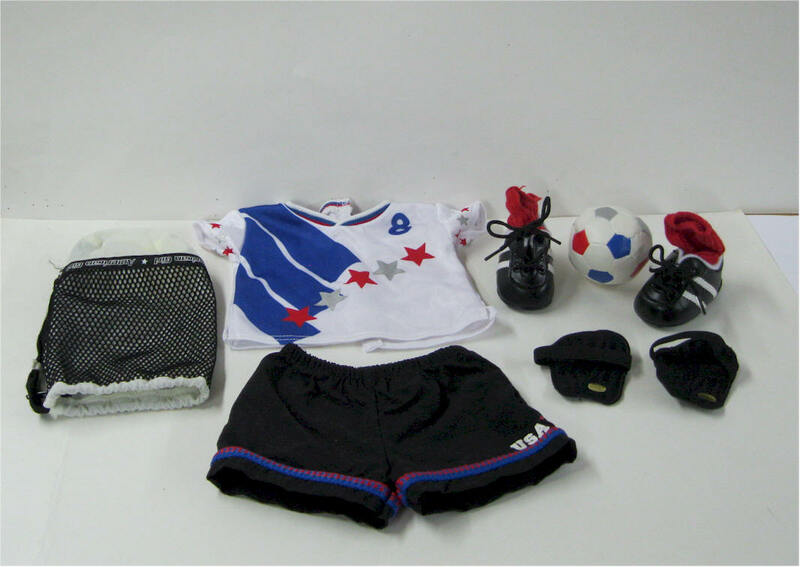 Chrissa's Warm Up set - includes: hooded jacket w team's logo - tank top w printed graphic - white French-terry shorts - slip-on sandals - embroidered visor - pretend mini IM-ME instant messenger - hanger. 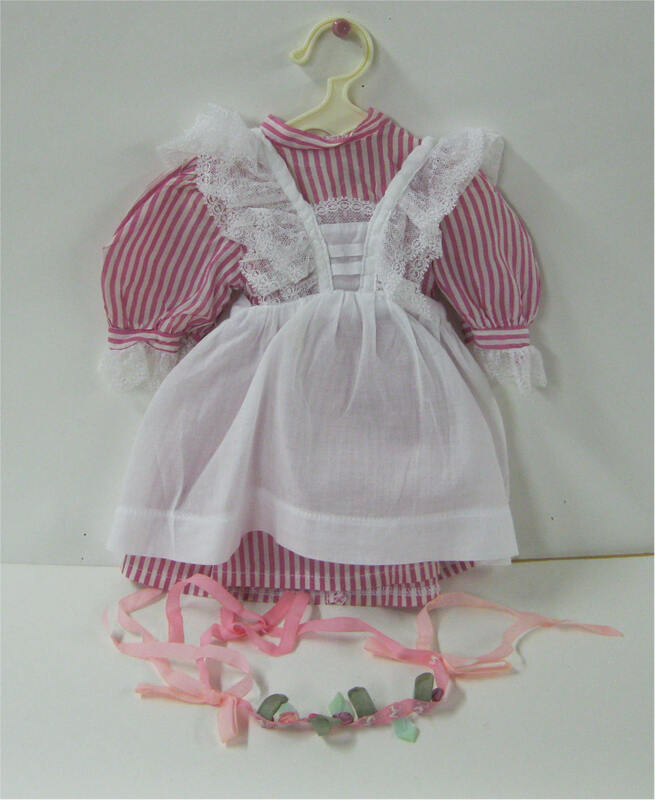 Wrapped in AG Tissue Paper. 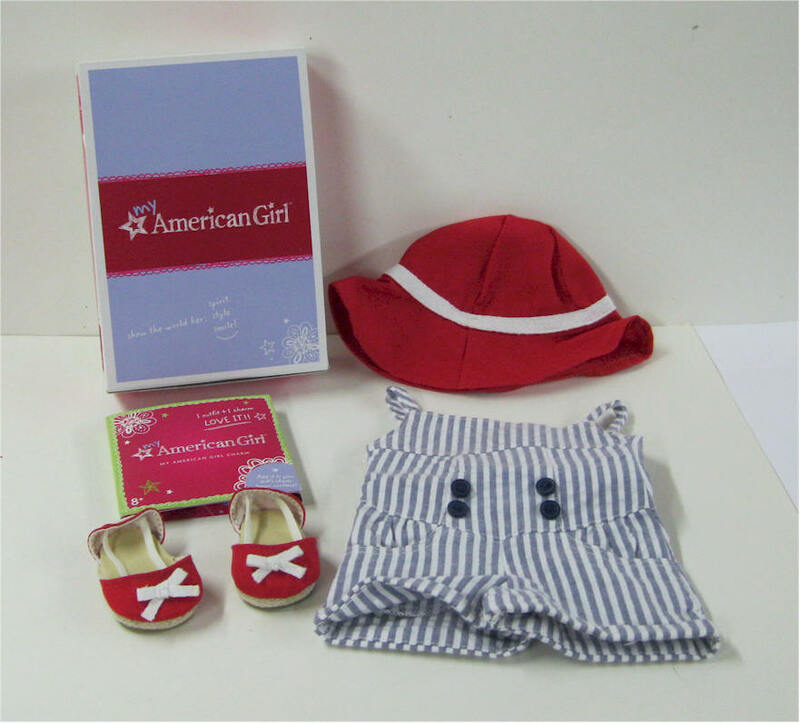 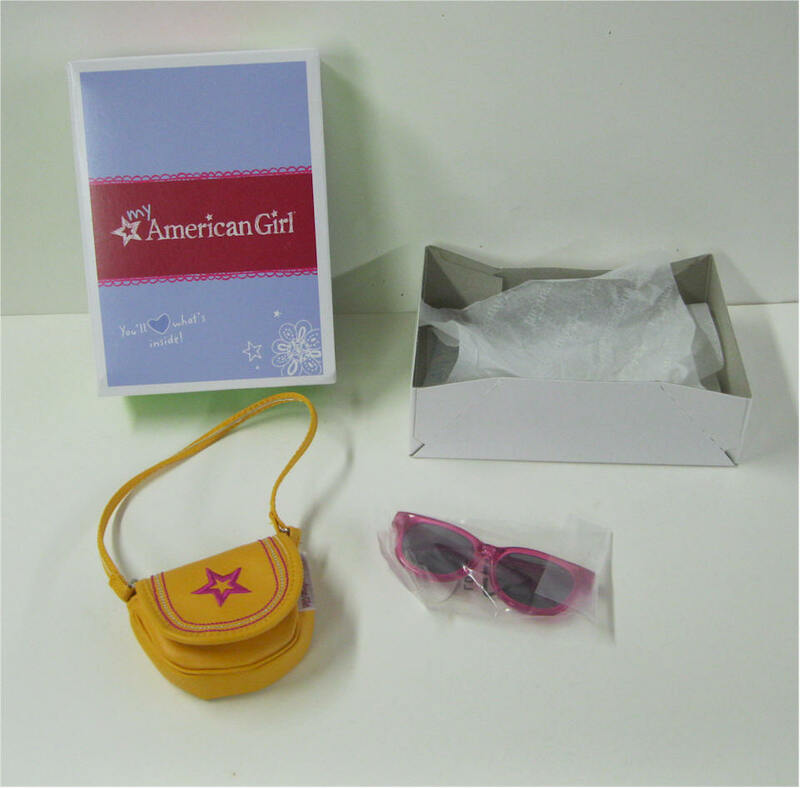 Marked: American Girl - Mint in Box. 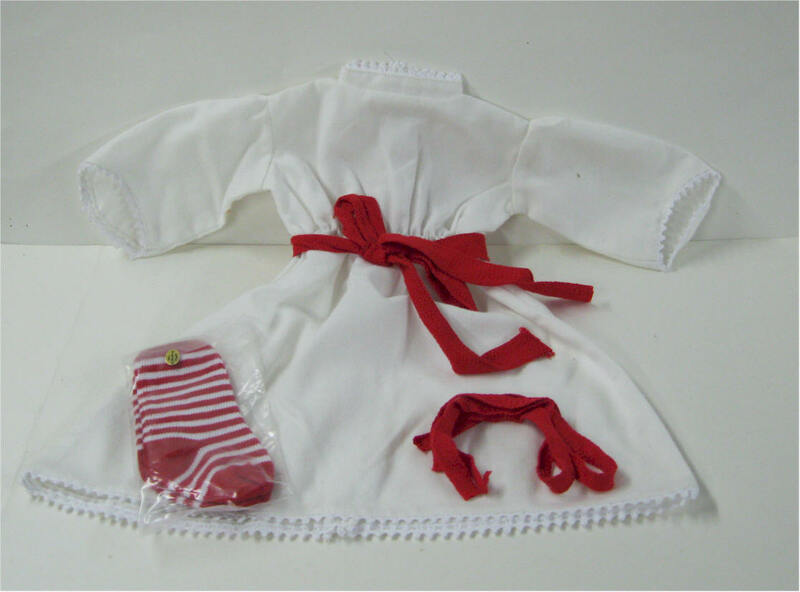 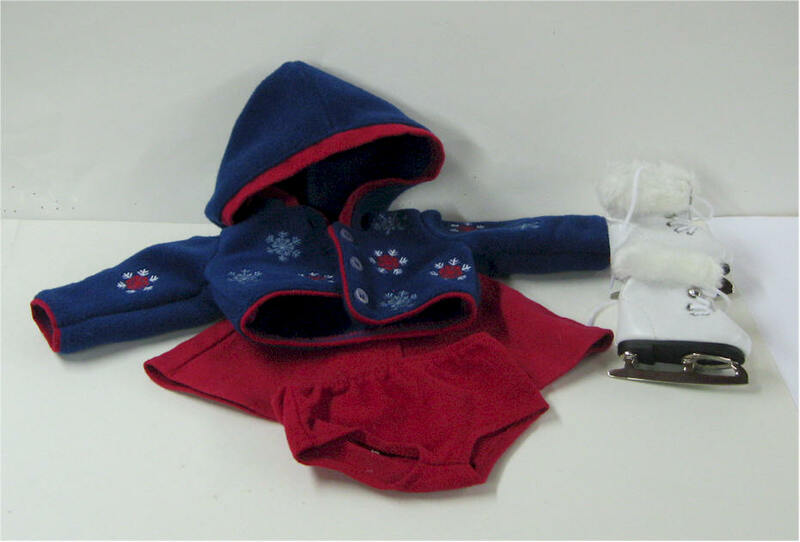 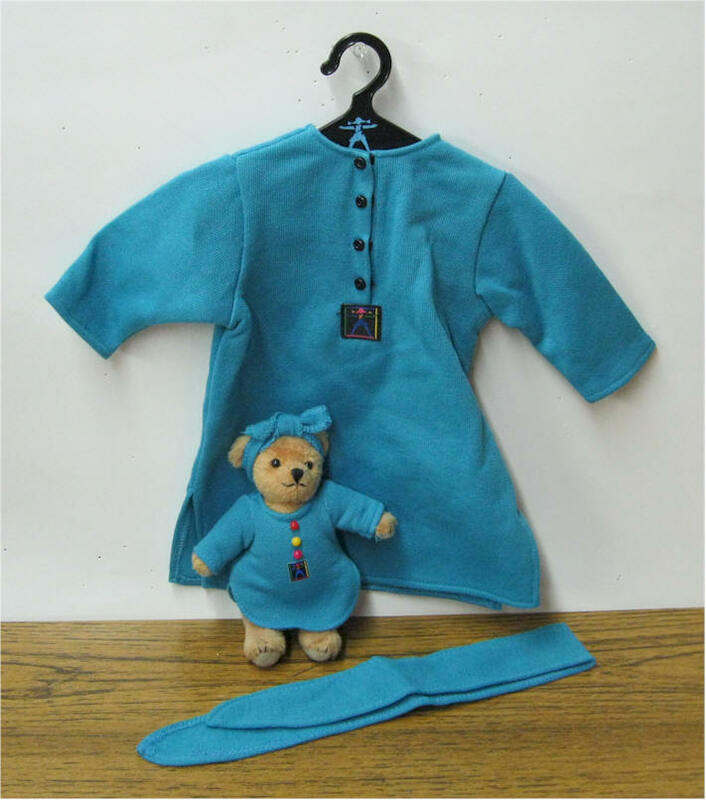 Price $32 SOLD Sea Breeze outfit - Includes: blue/white stripedromper w buttons - front pockets - floppy red hap - sandals w bows - "Smaret" rectangle charm . 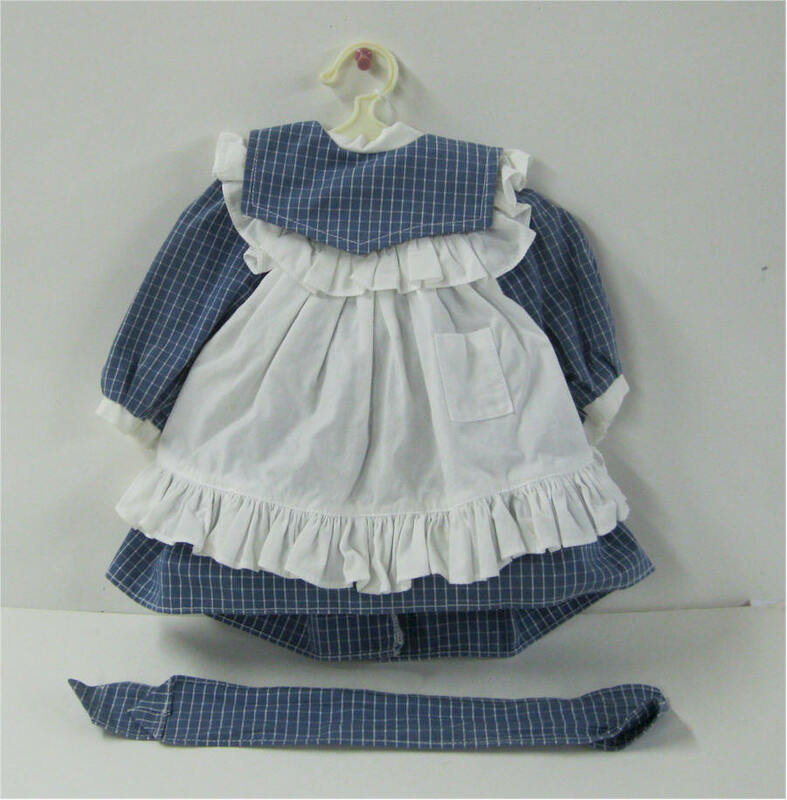 Kit's School Outfit - includes: plaid jumper and white blouse w plaid trim at the collar and cuffs. 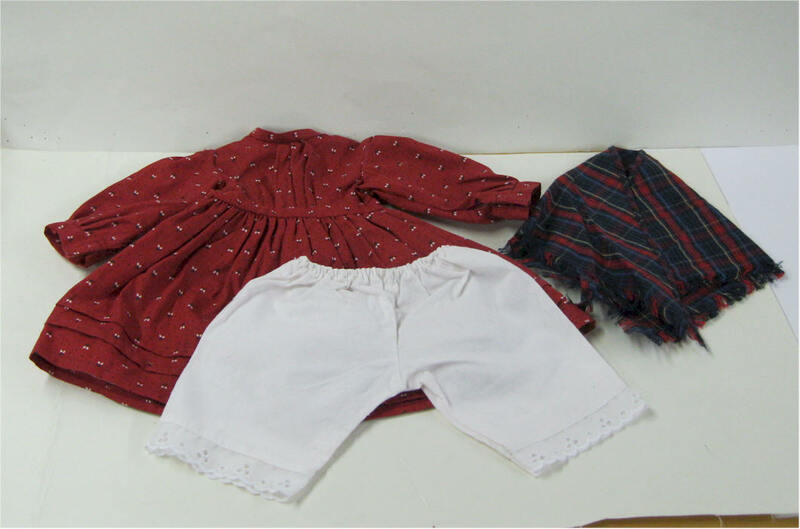 Knee socks and brown oxford shoes - pamphlet - hanger - wrapped in AG Tissue paper. 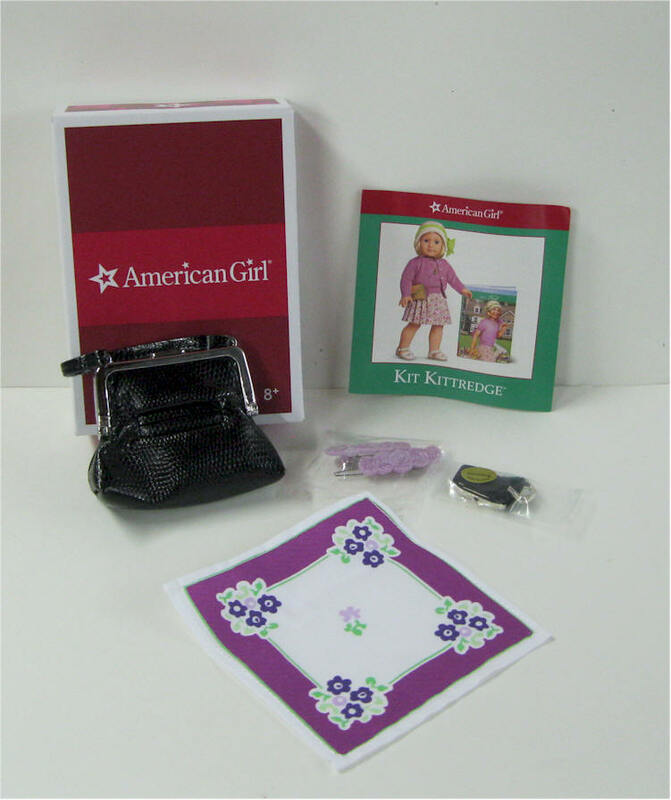 Marked: American Girl - retired - mint in box. 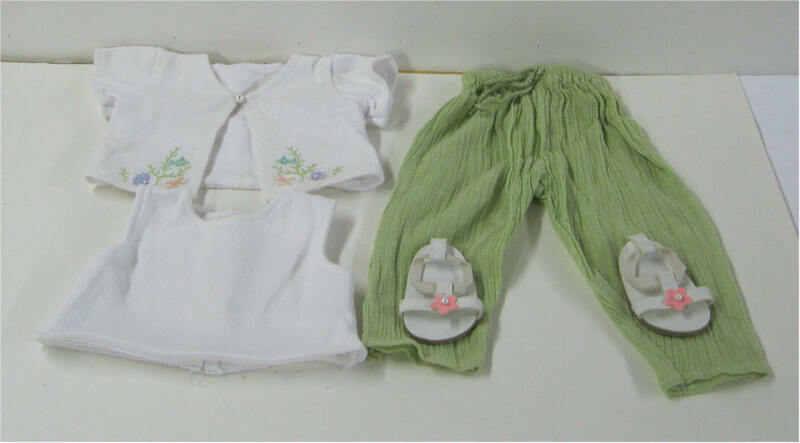 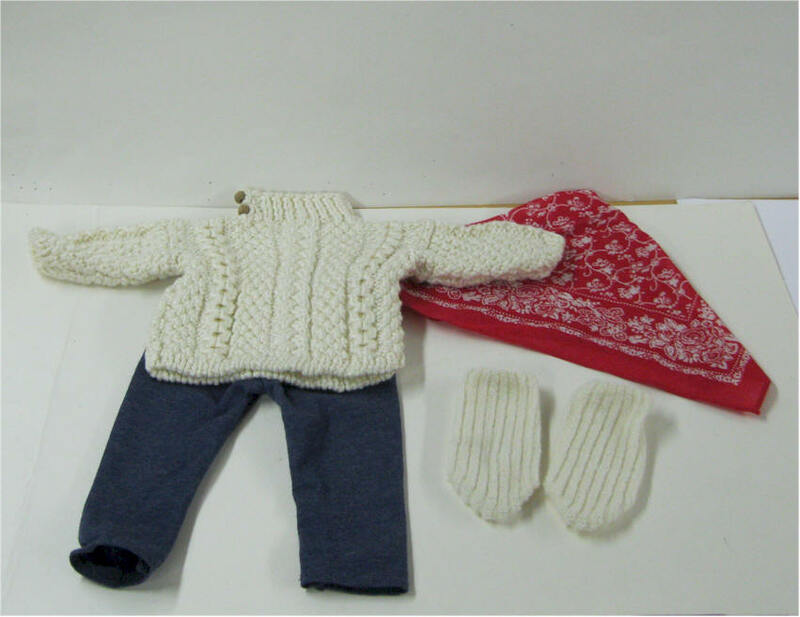 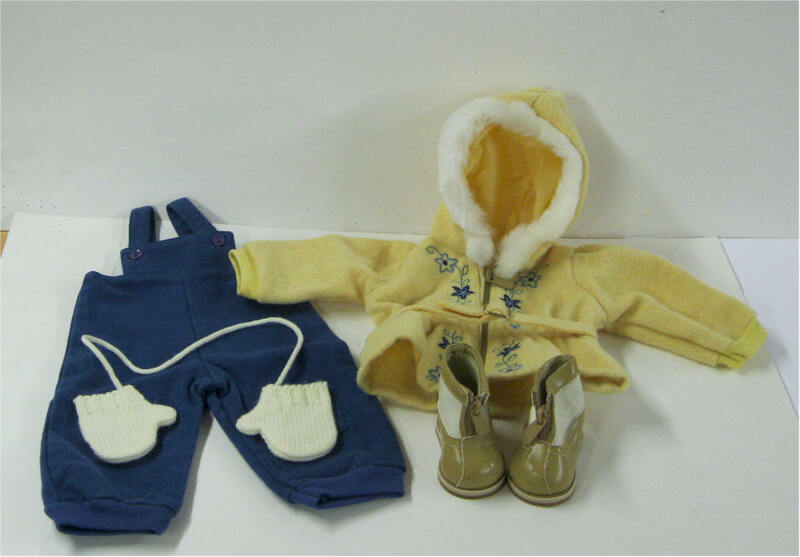 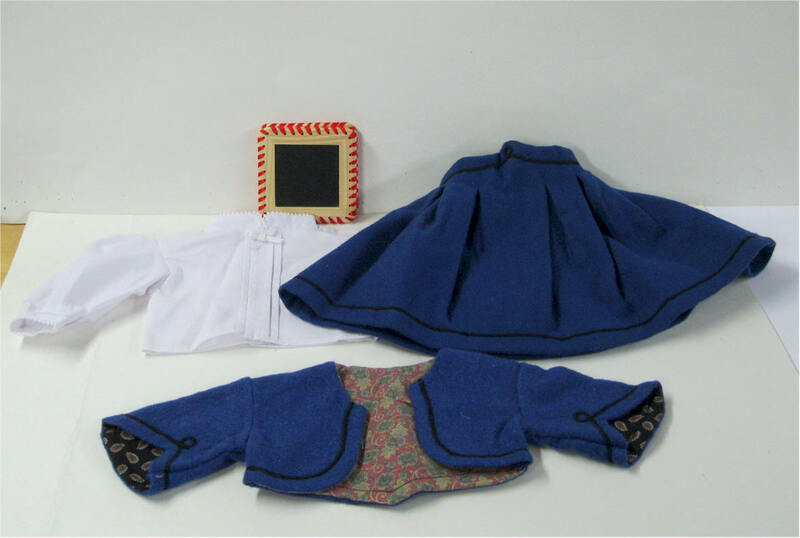 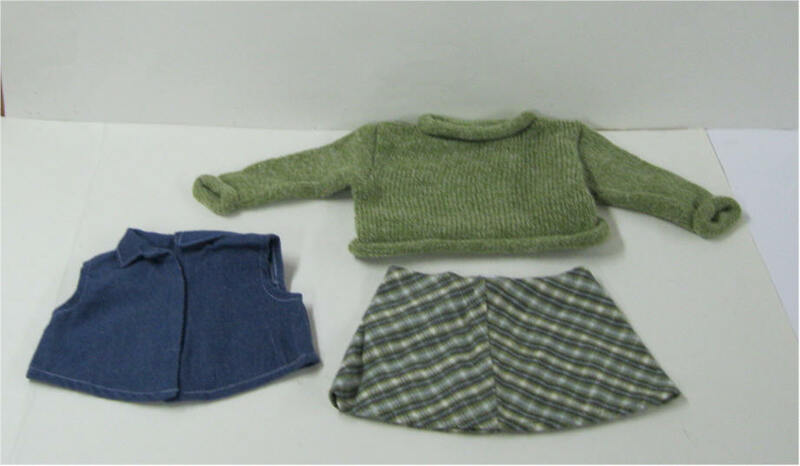 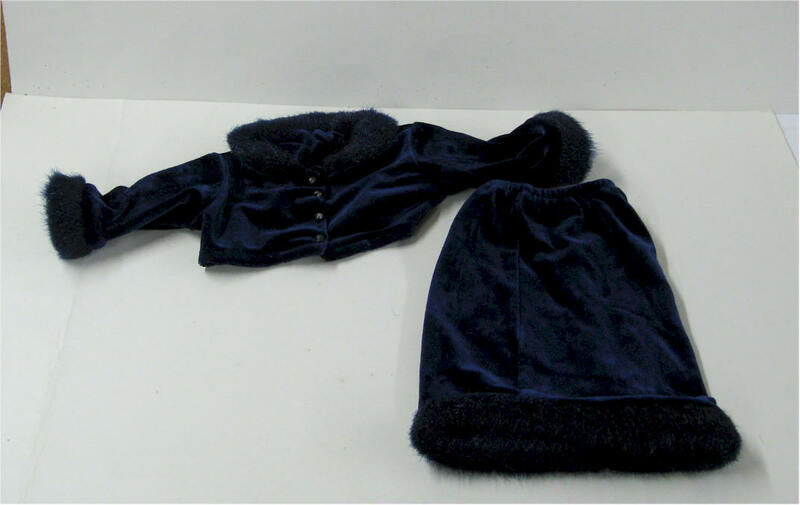 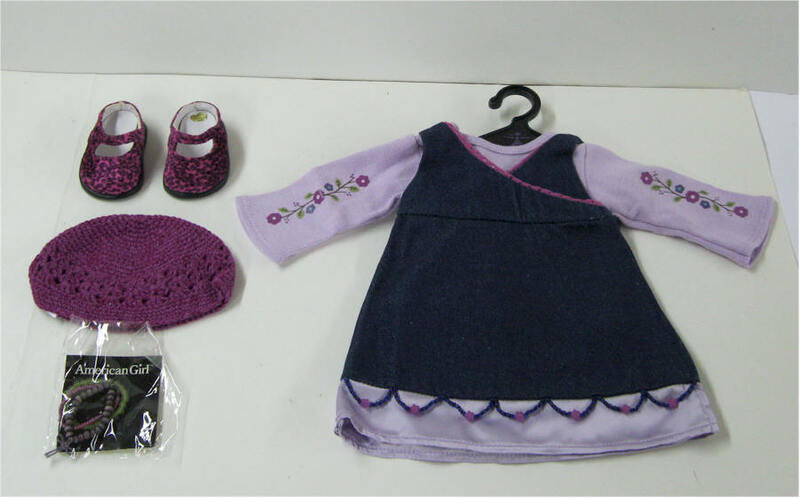 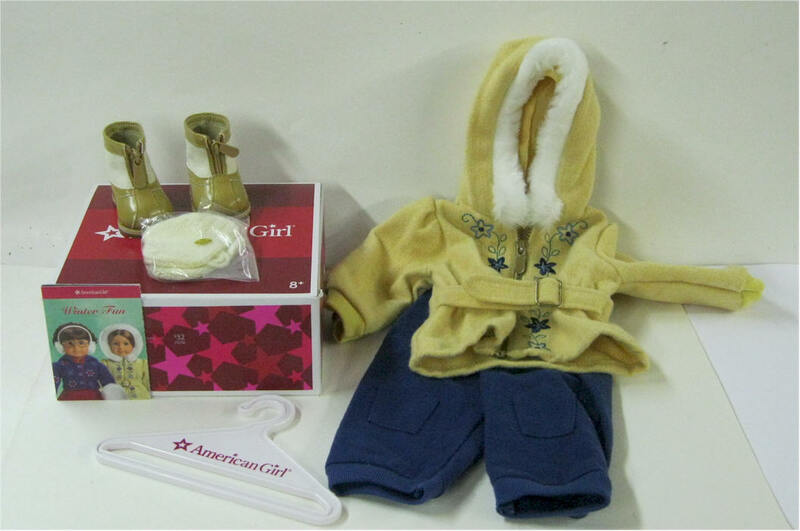 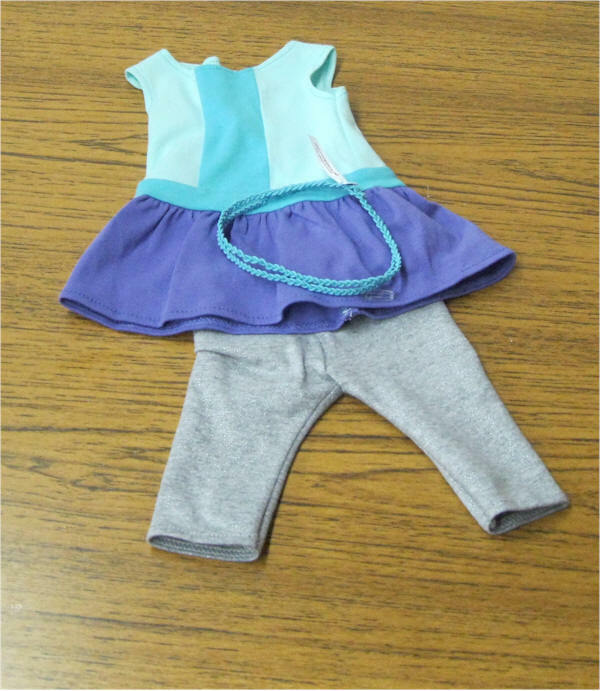 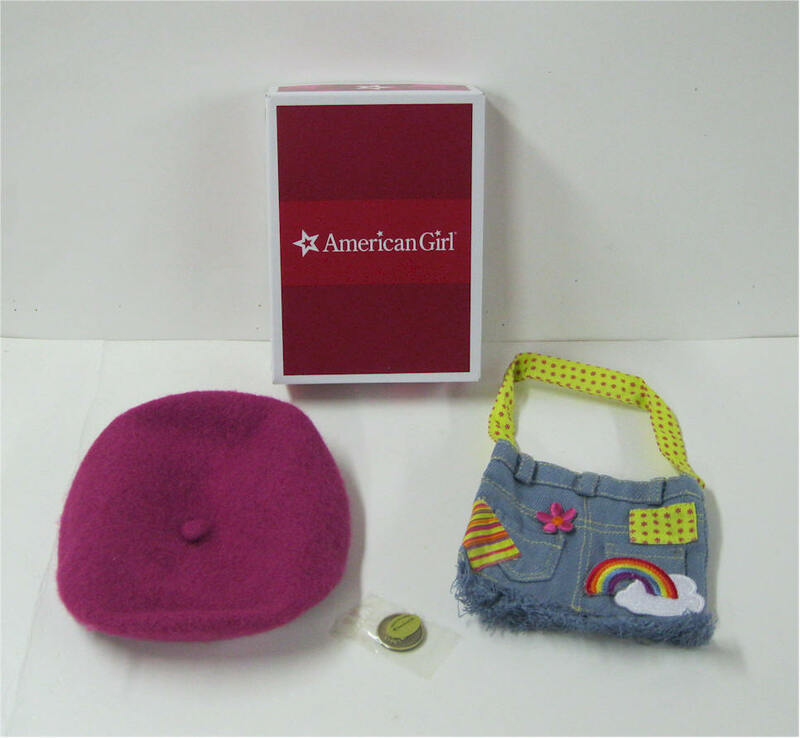 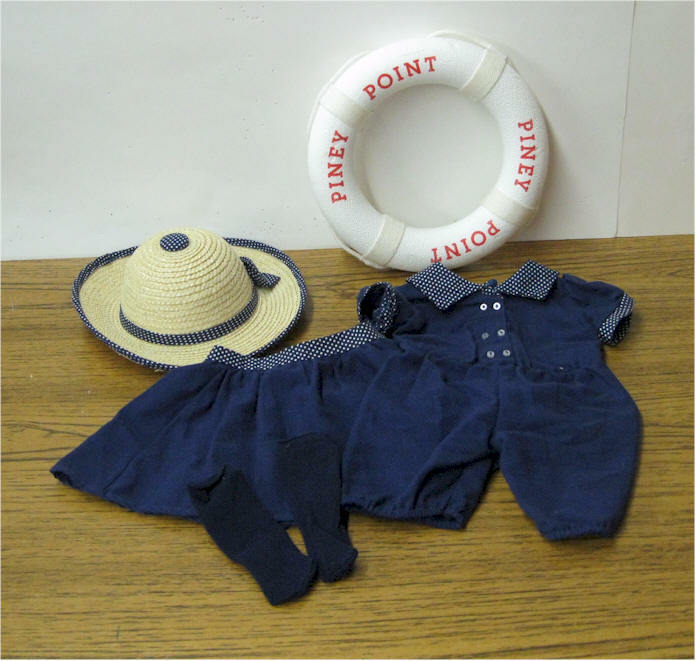 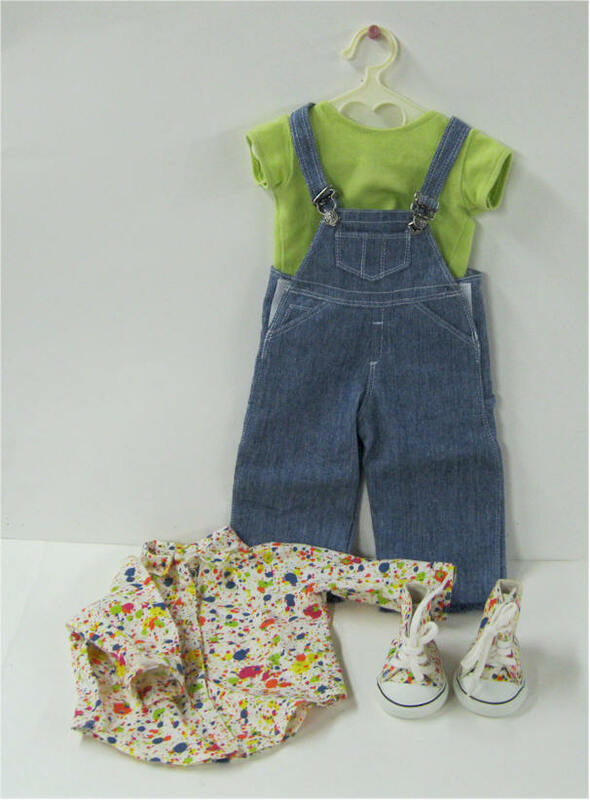 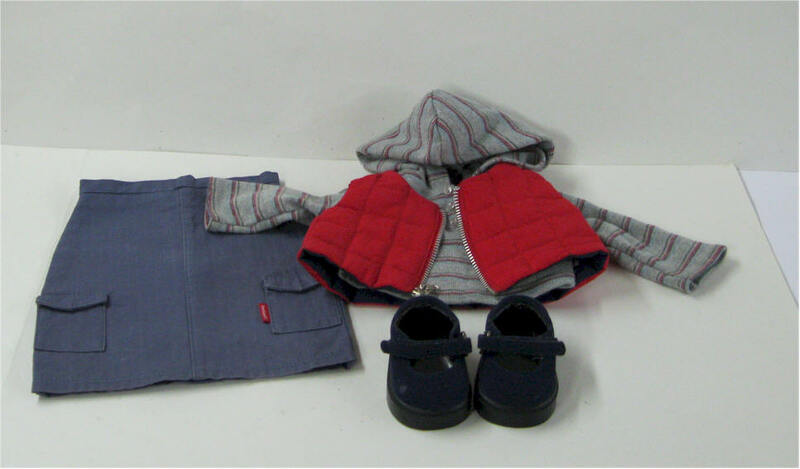 American Girl of Today Retired Denim Jumper Outfit - Includes: Jumper - top - shoes - crocheted Cap - AG Hanger - 3 items in package? 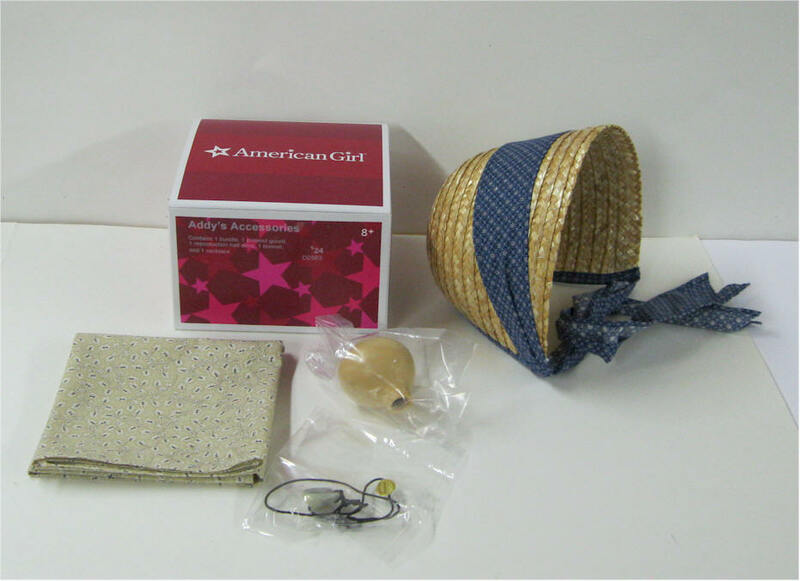 necklace - or bracelet's - or hair pieces. 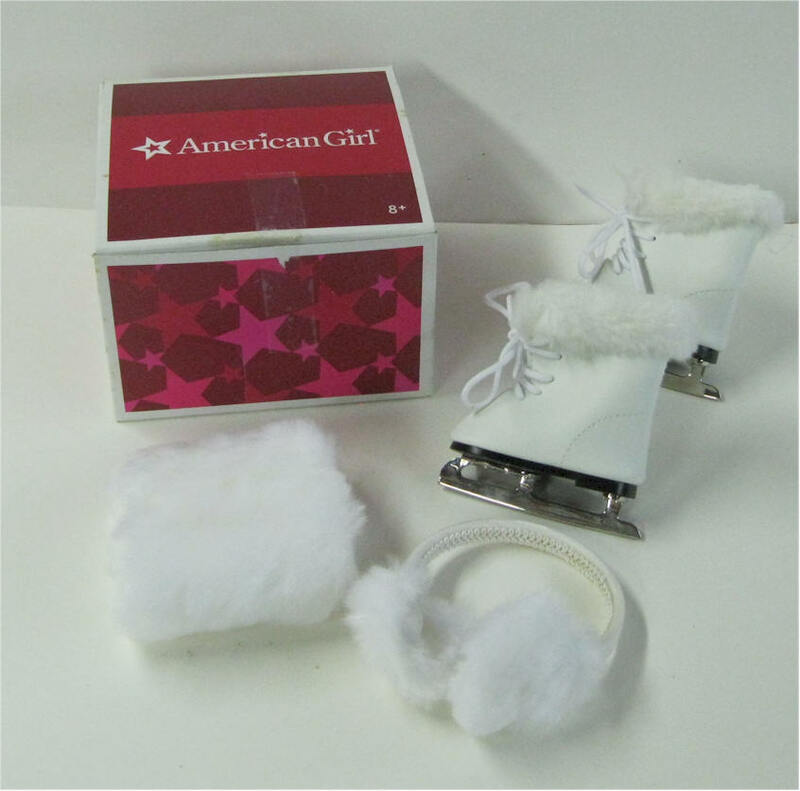 Marked: AG - Excellent clean condition. 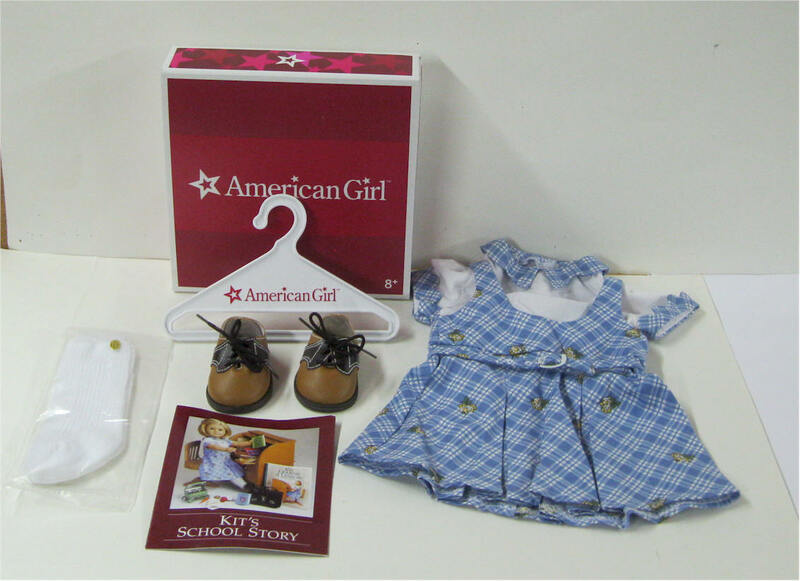 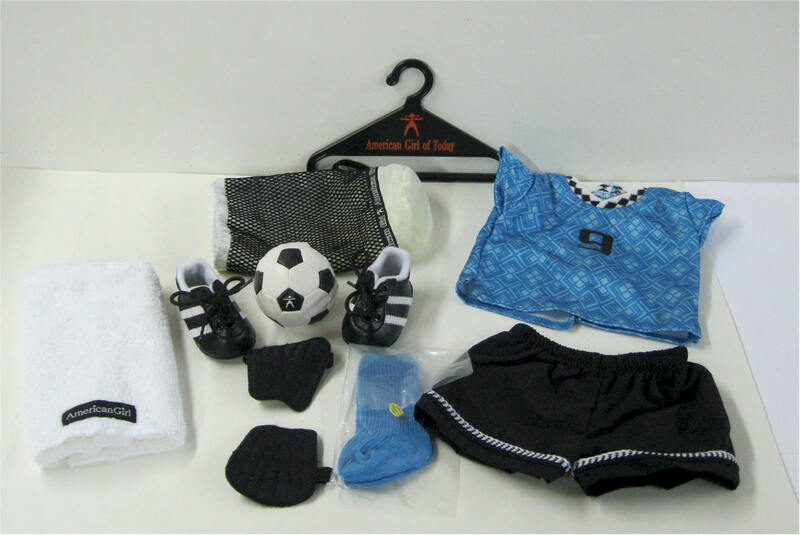 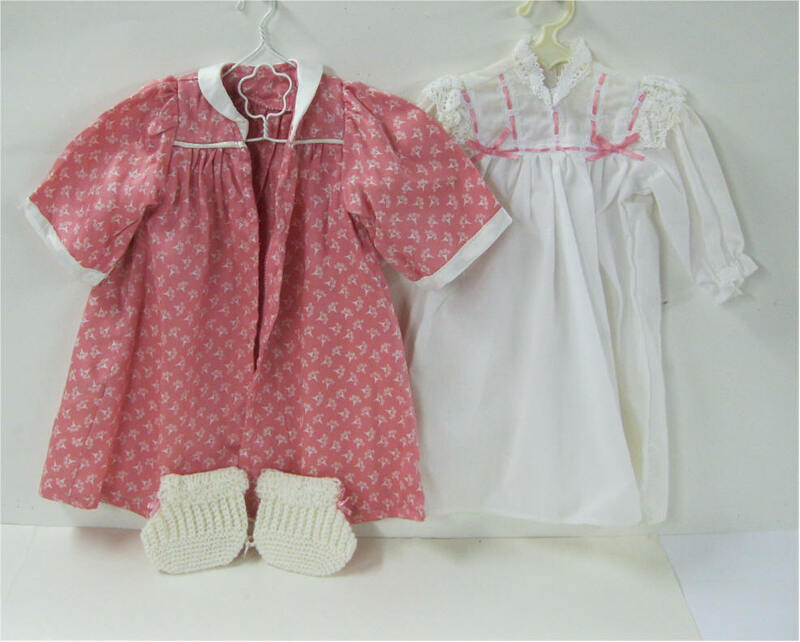 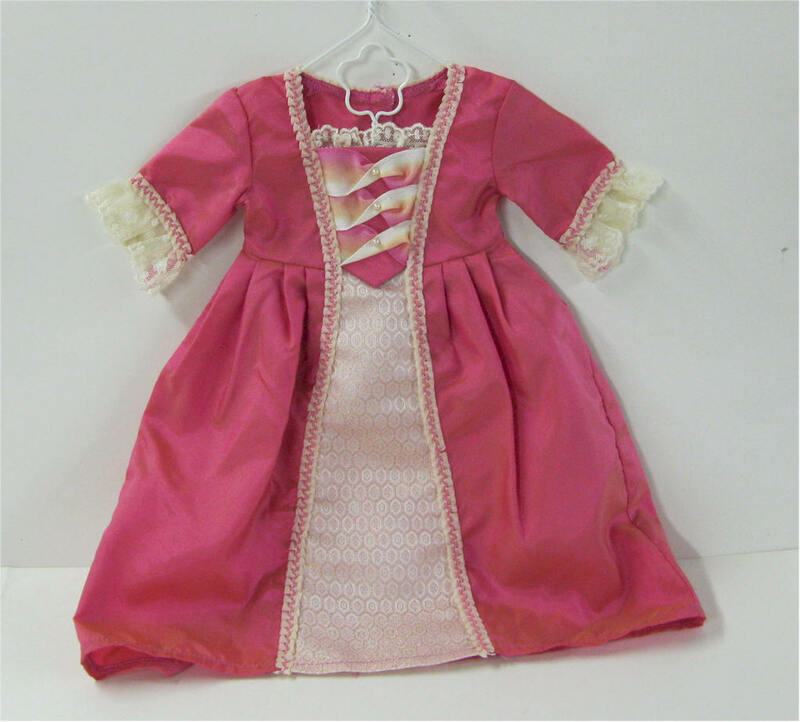 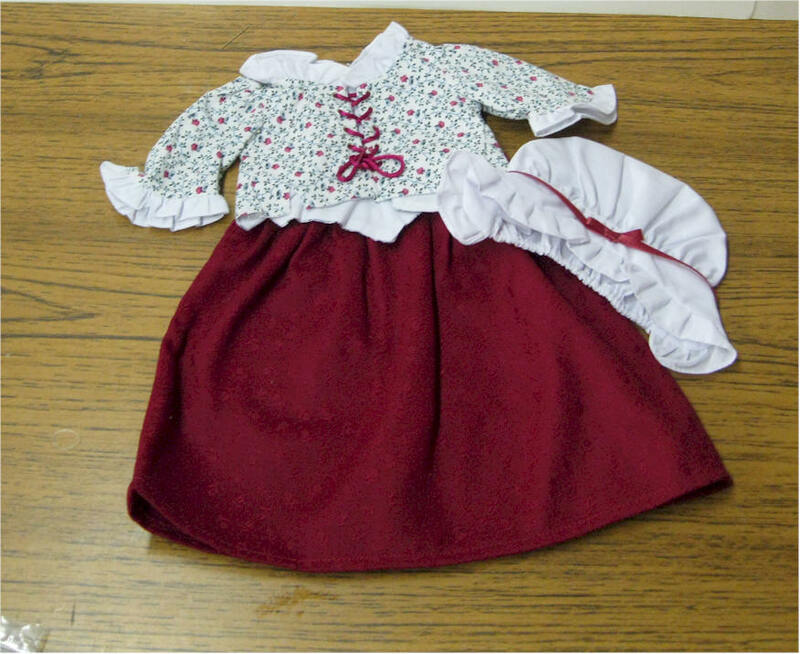 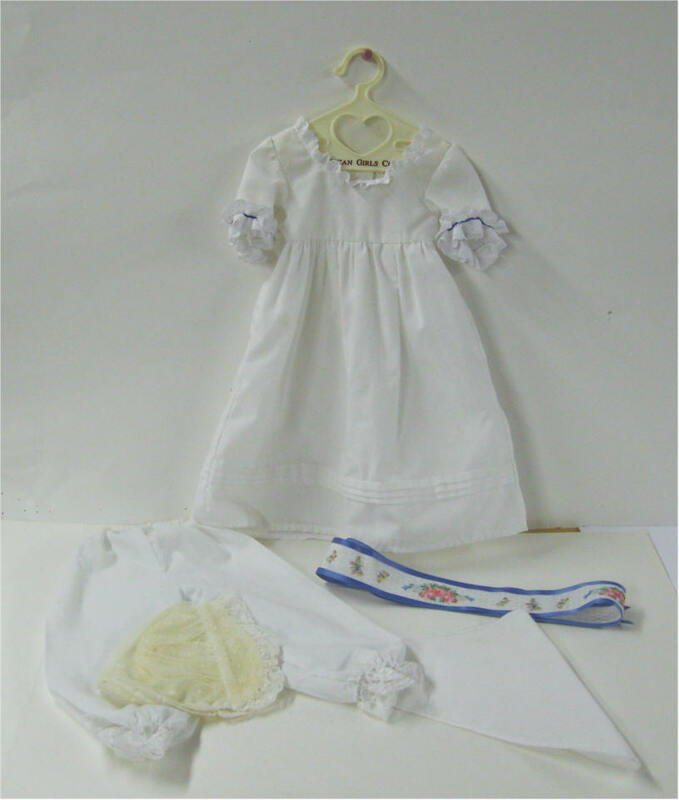 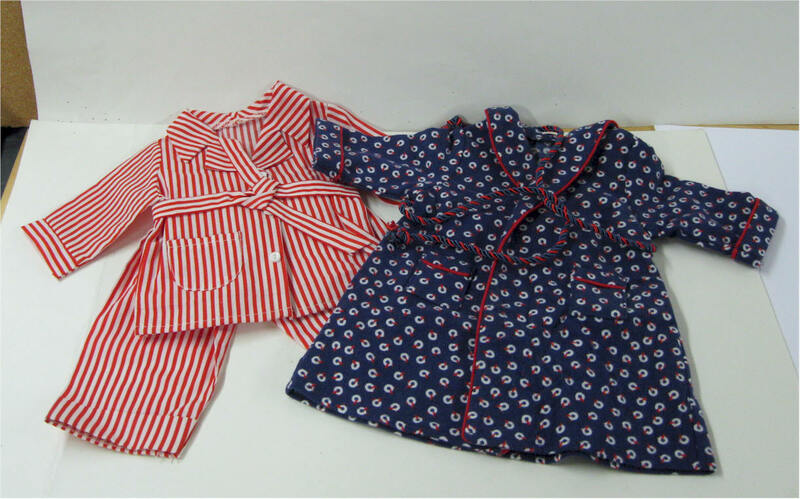 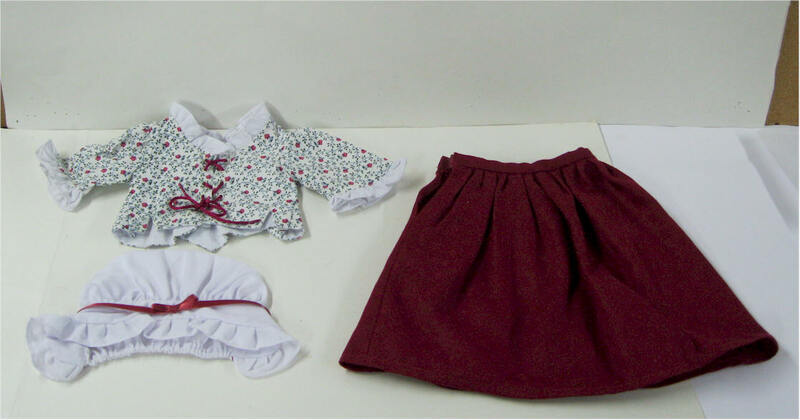 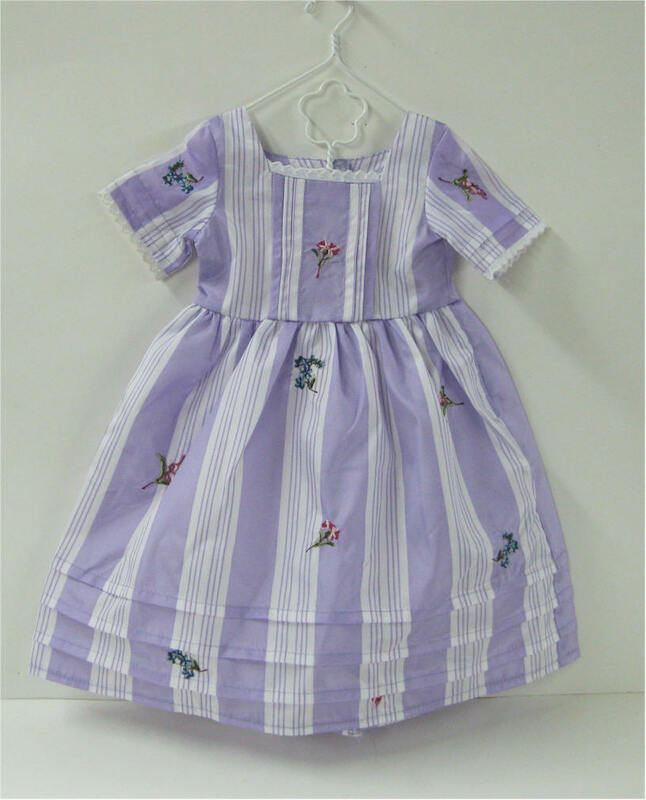 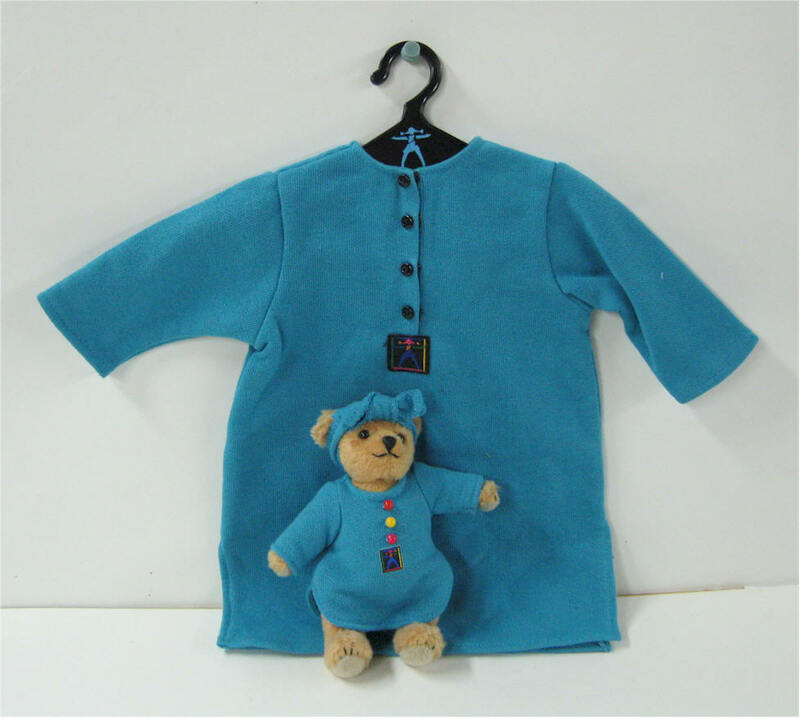 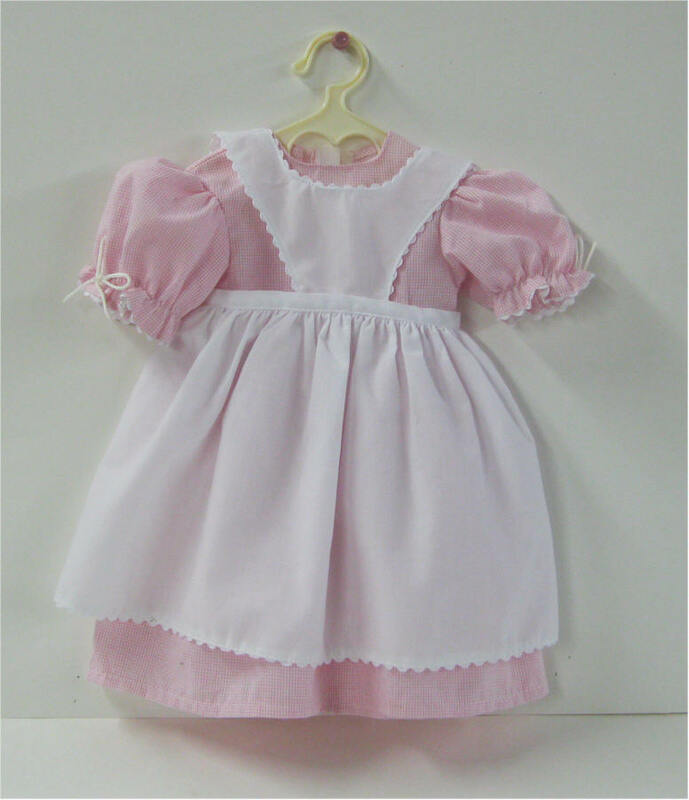 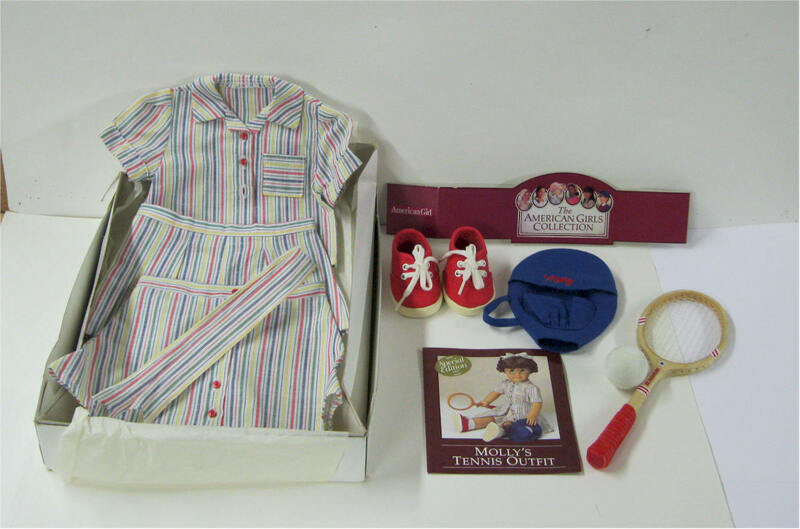 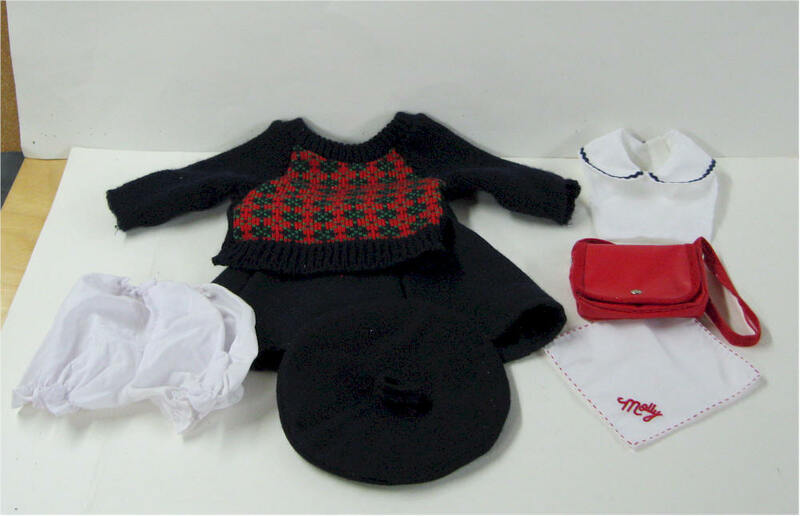 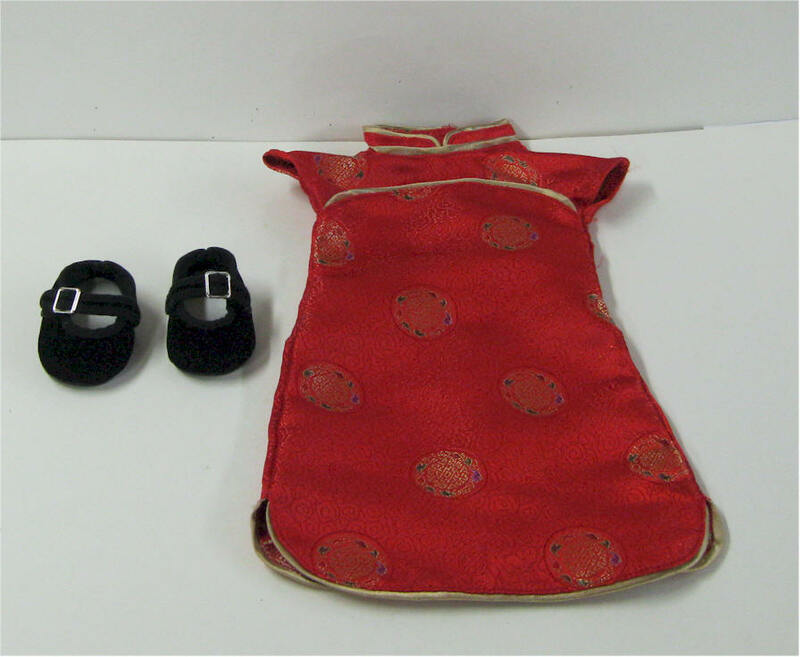 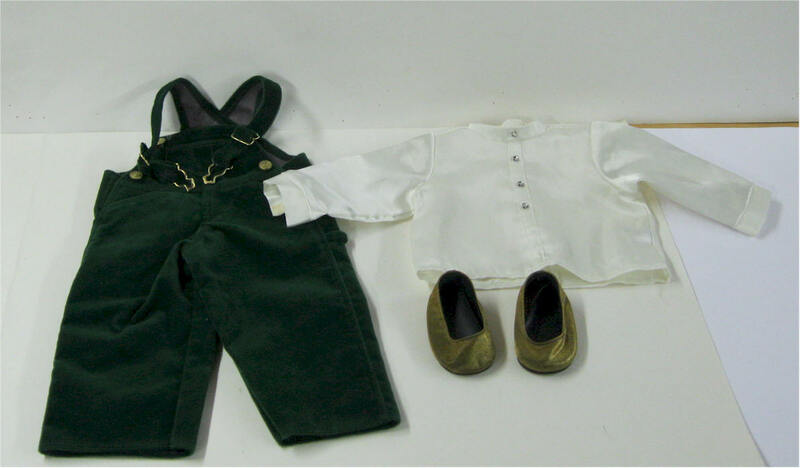 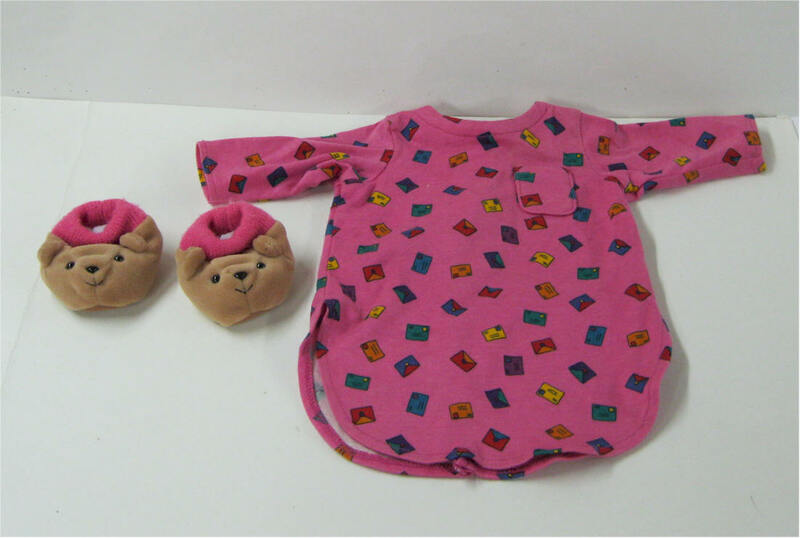 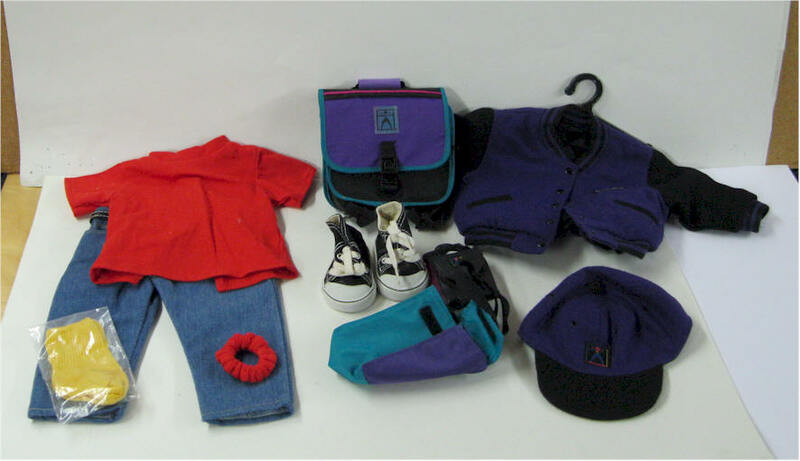 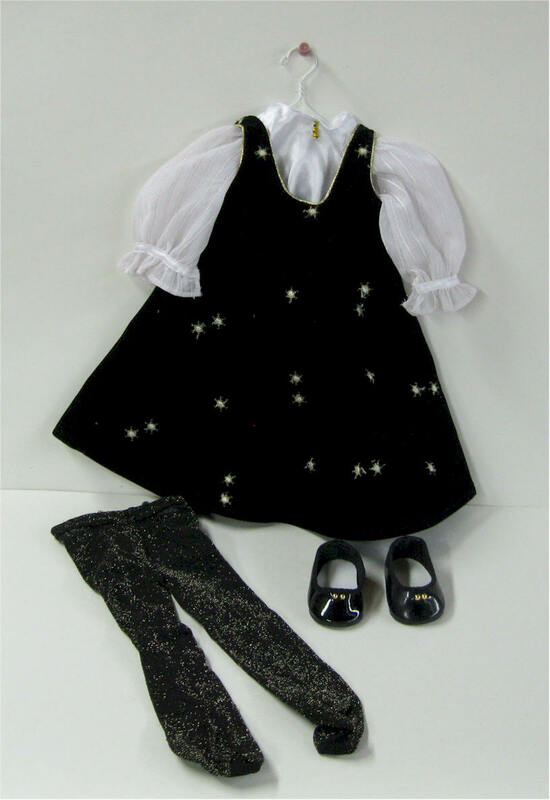 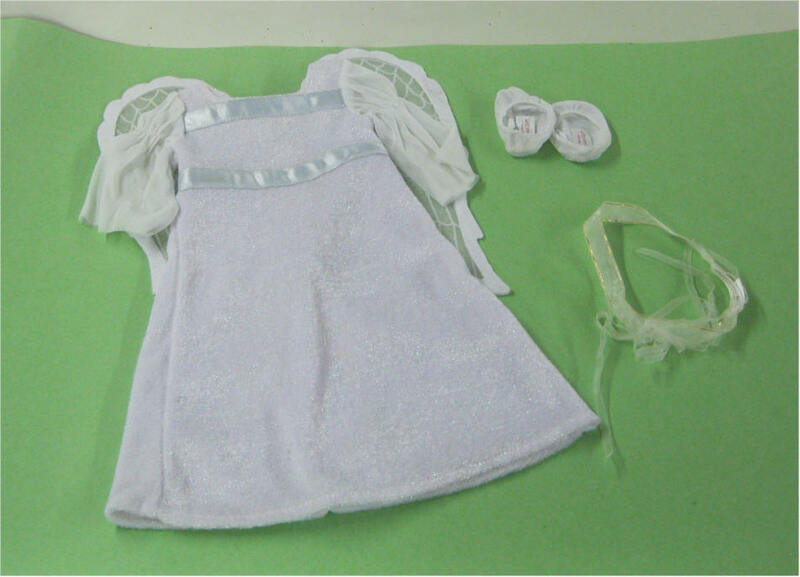 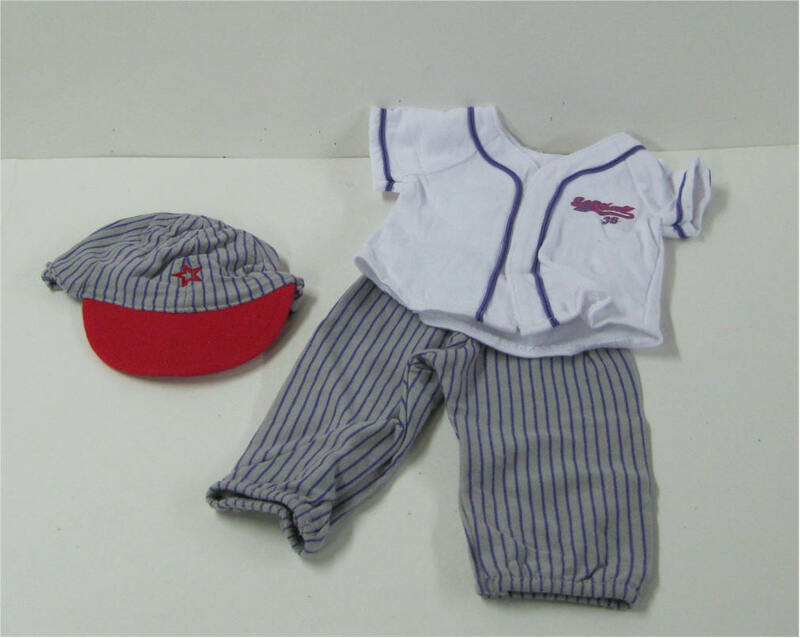 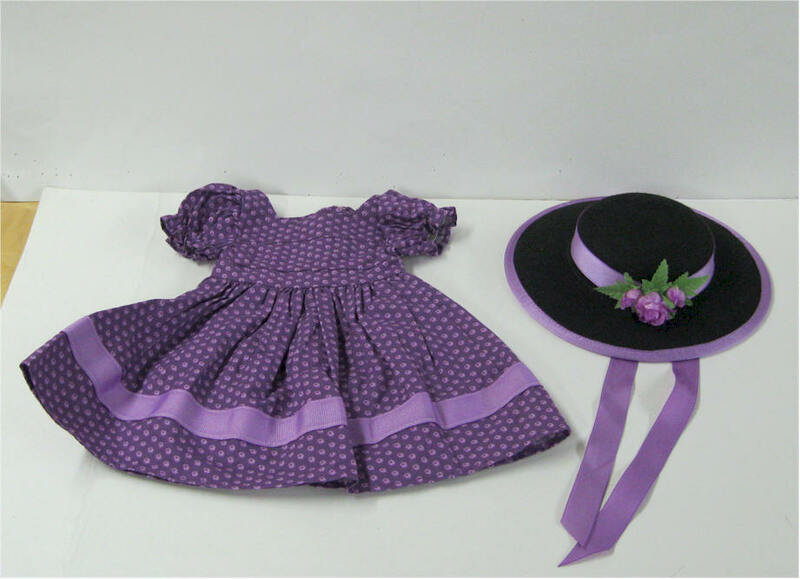 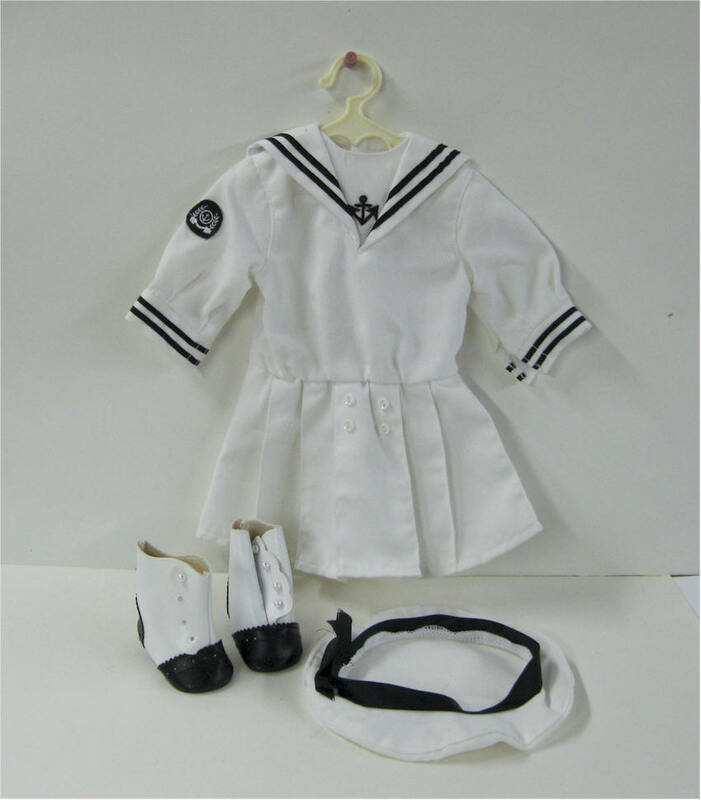 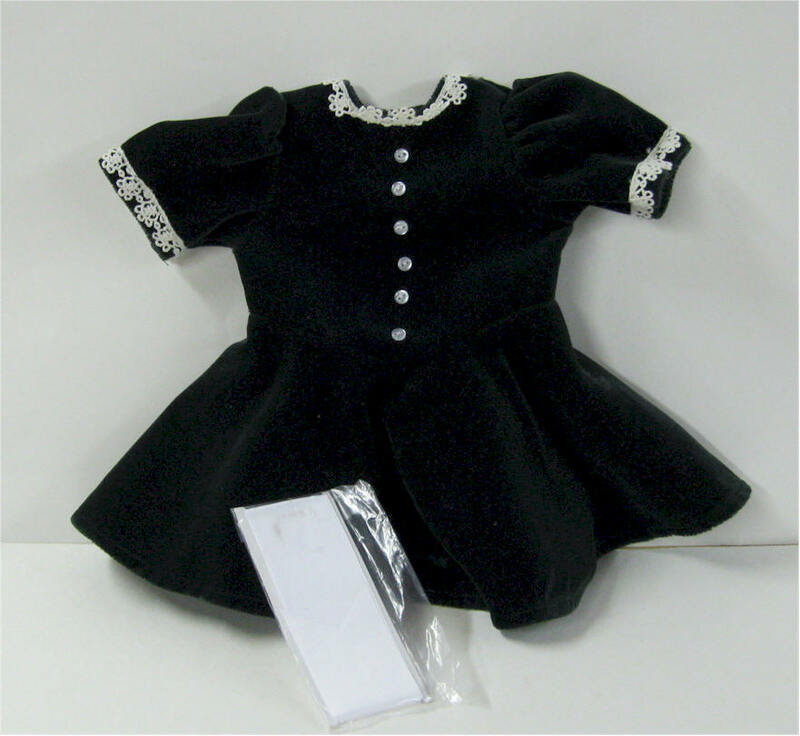 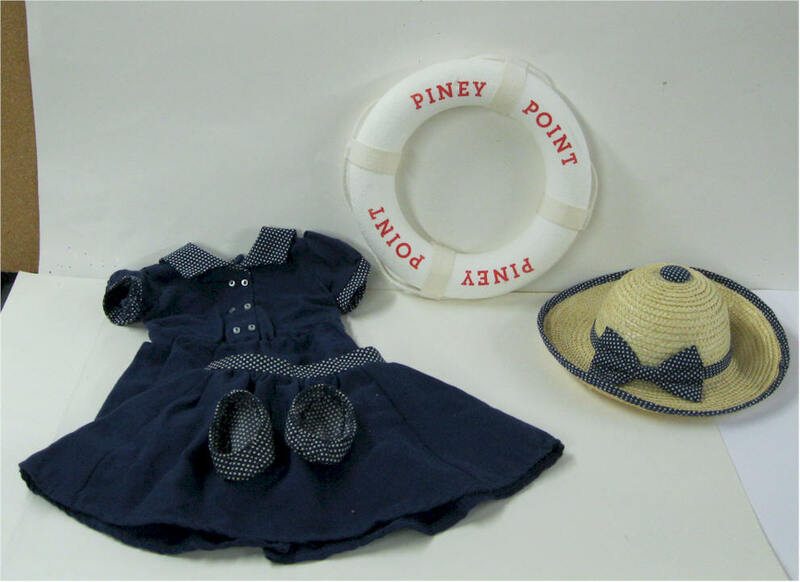 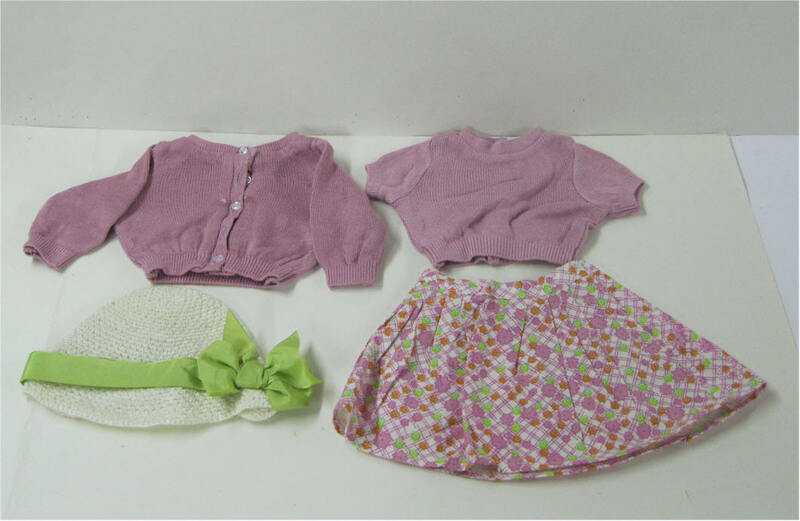 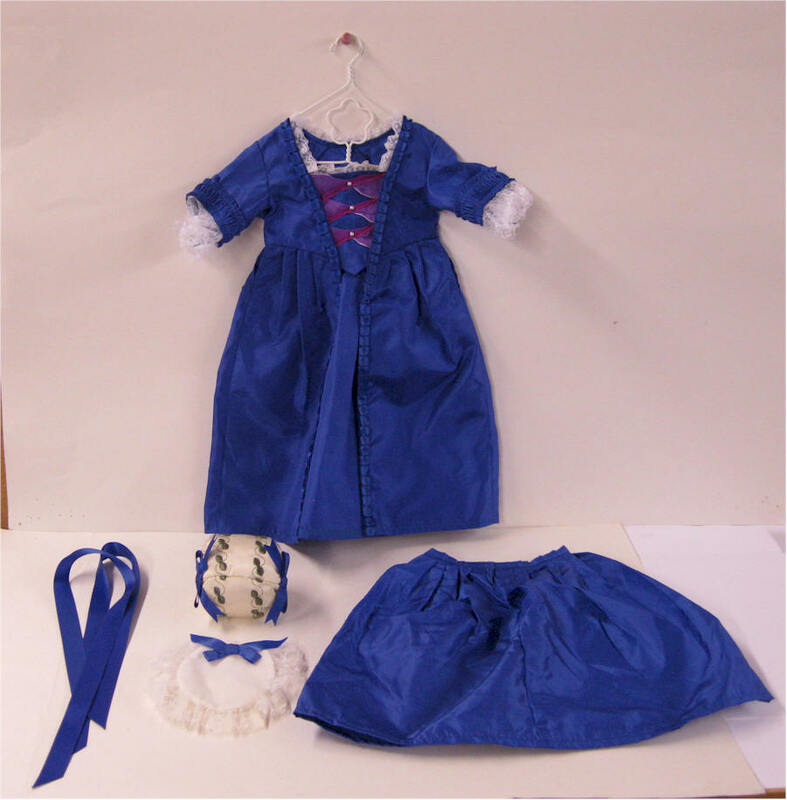 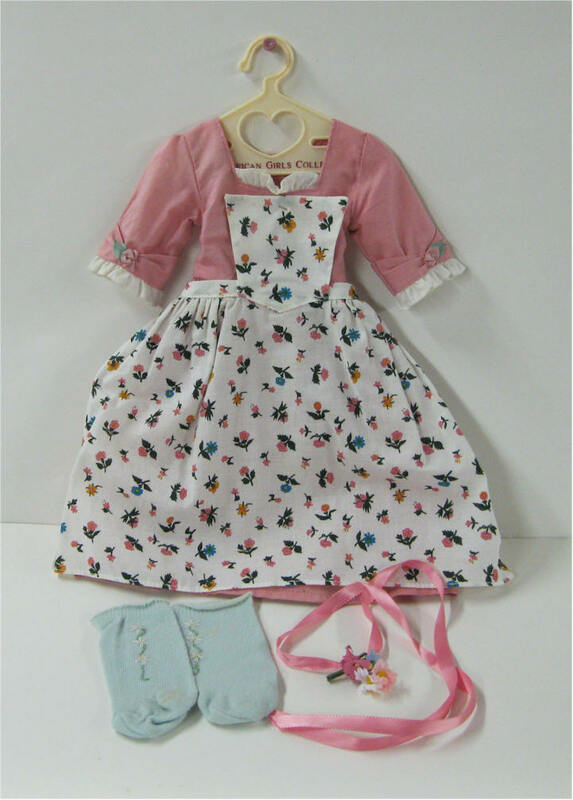 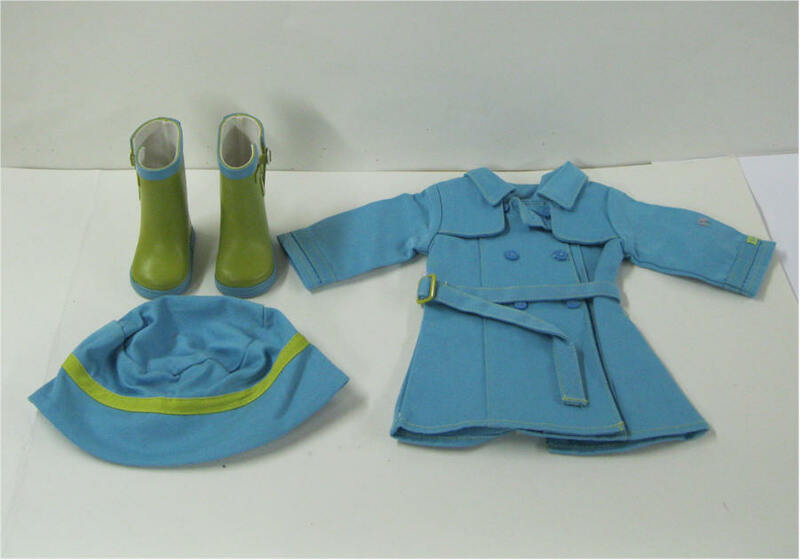 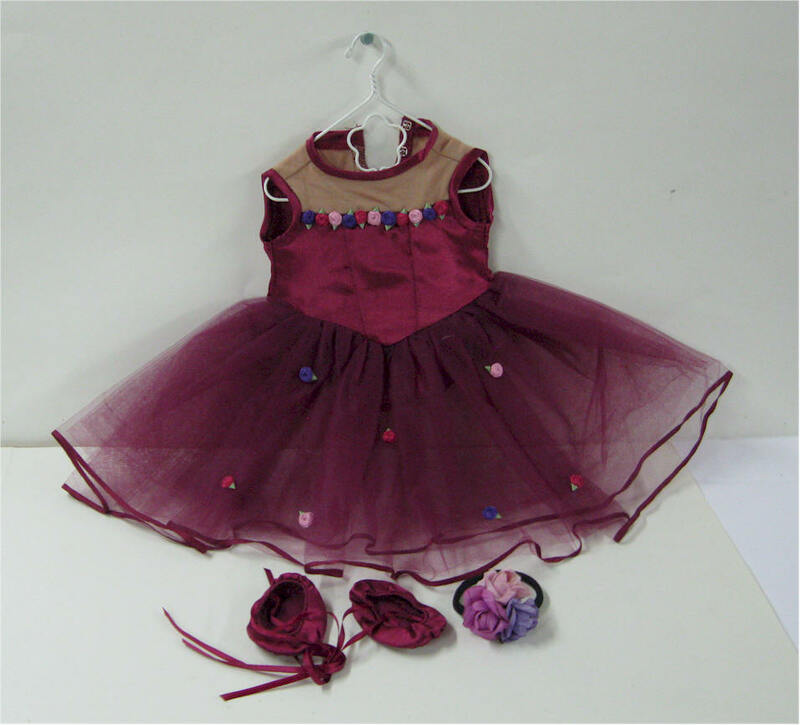 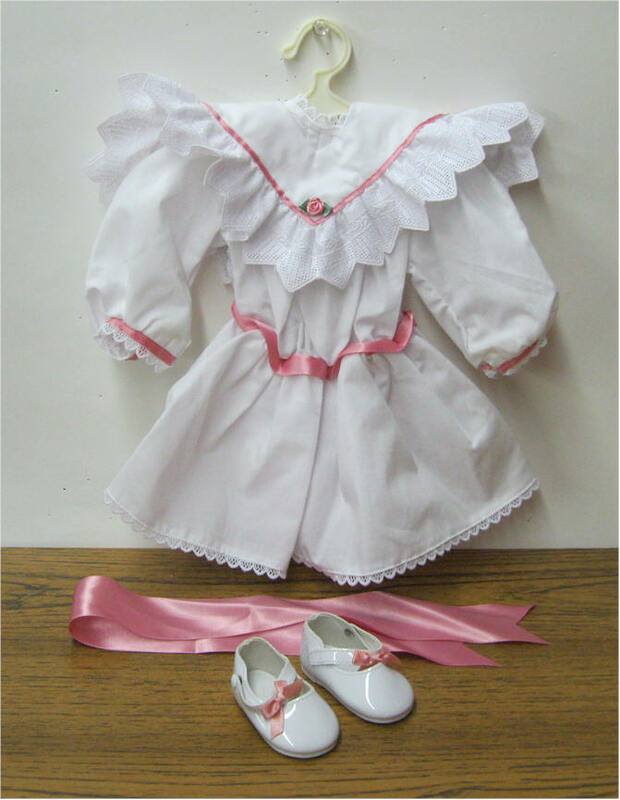 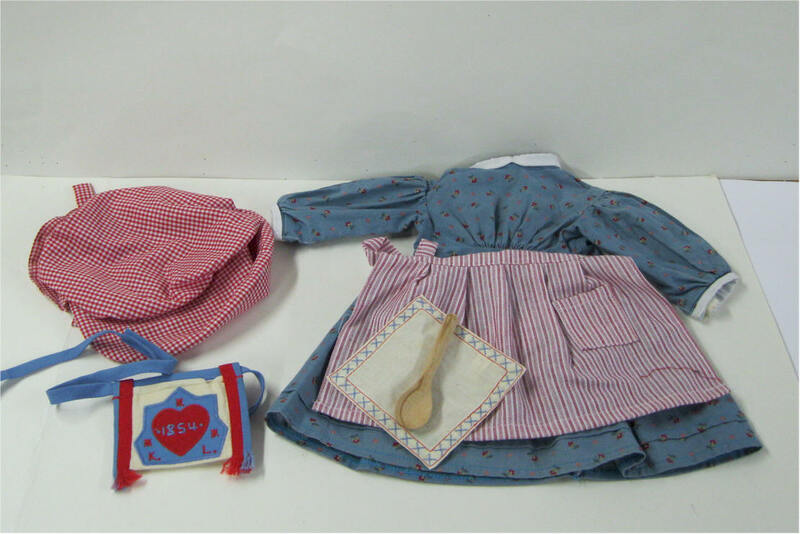 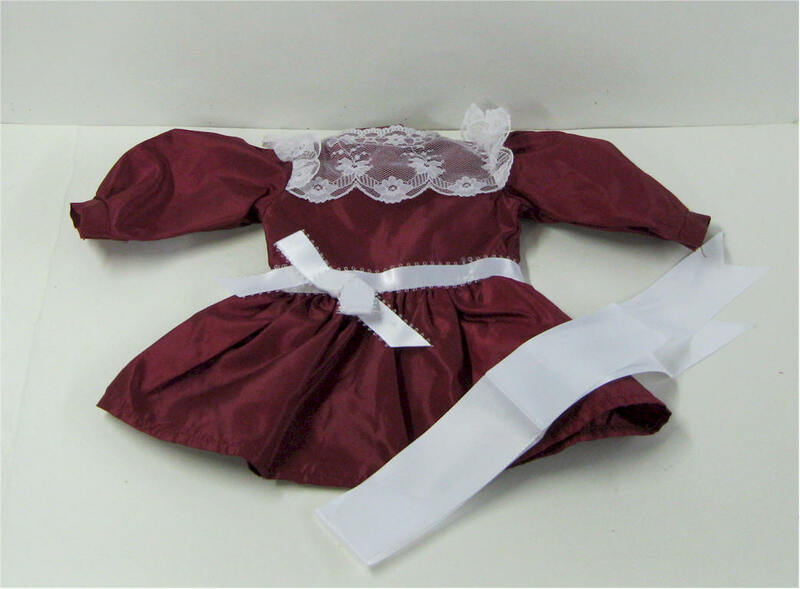 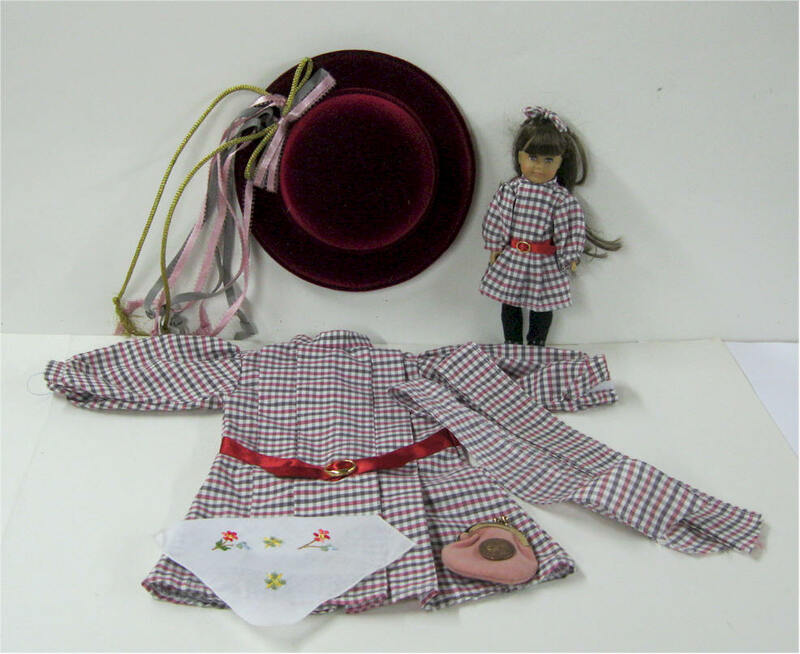 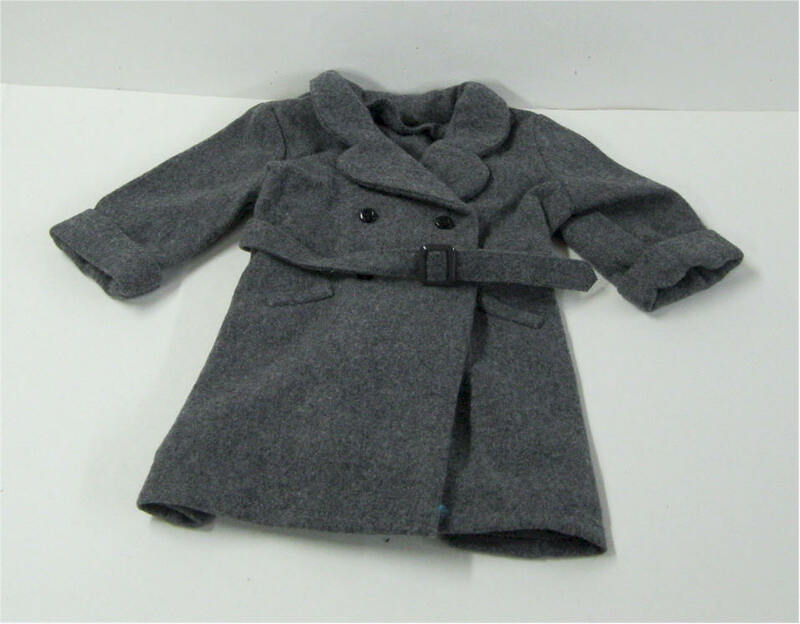 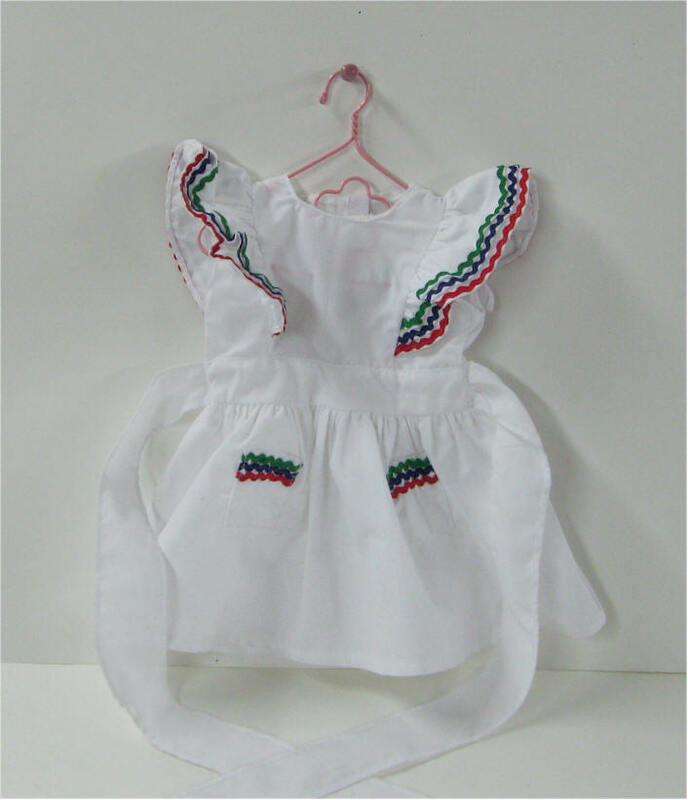 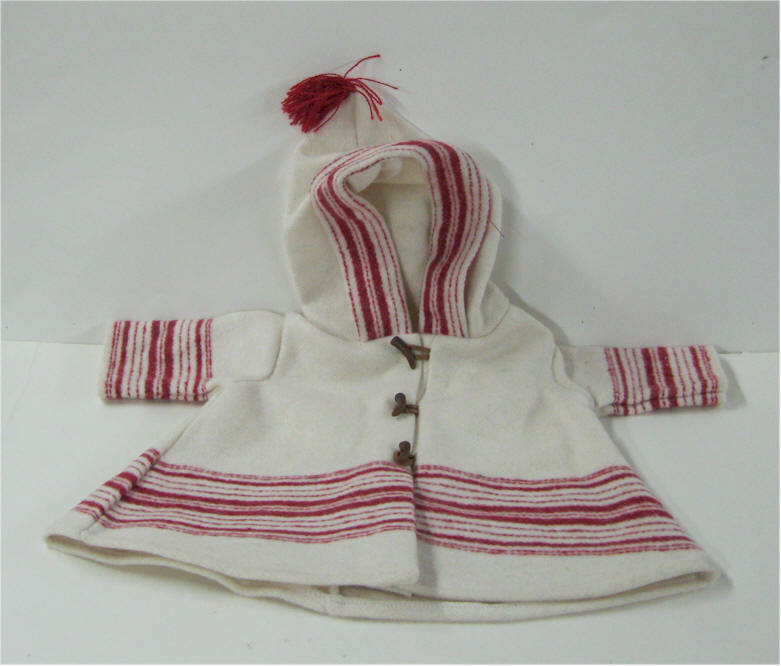 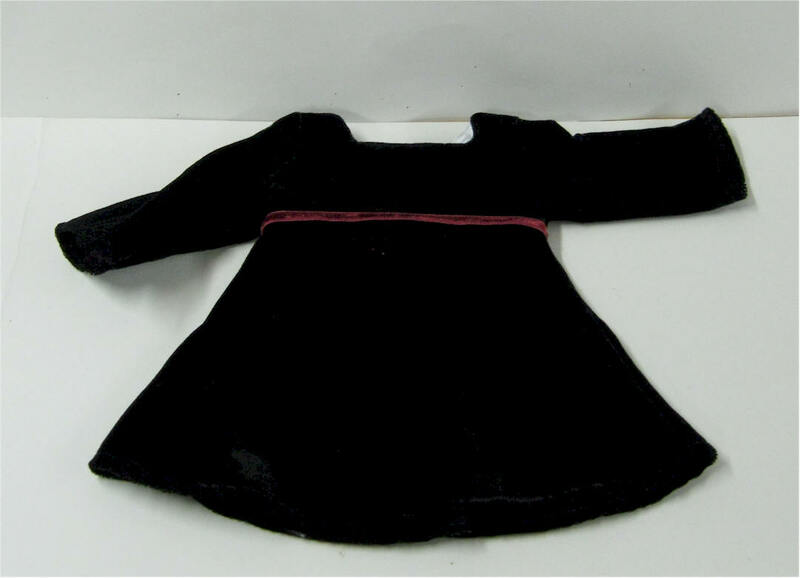 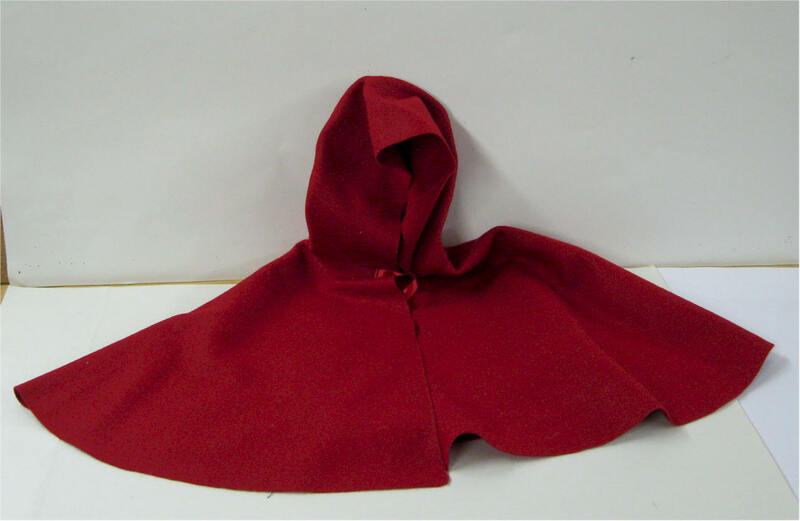 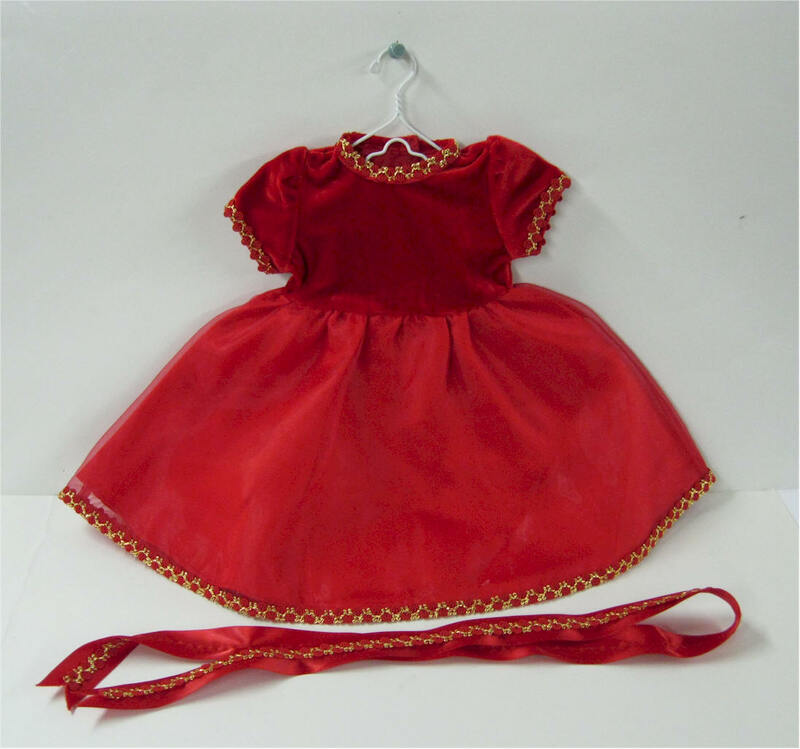 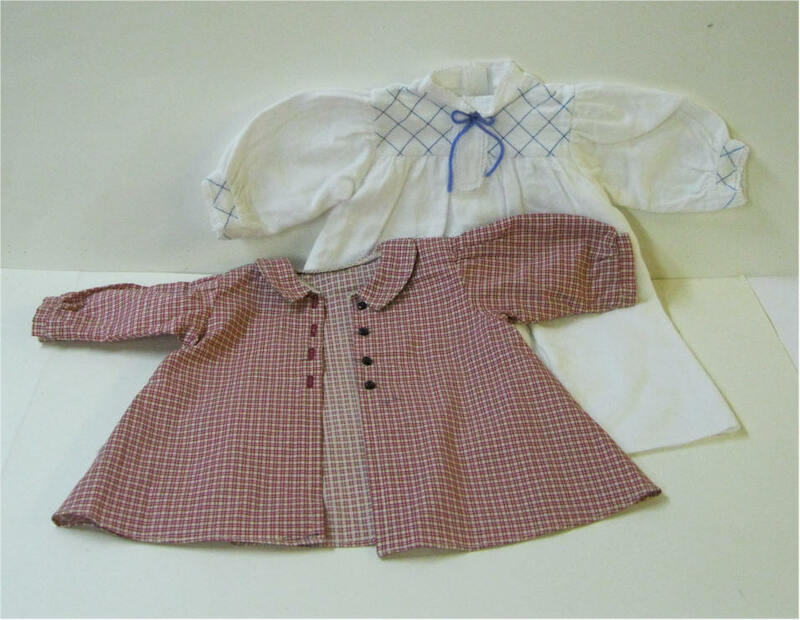 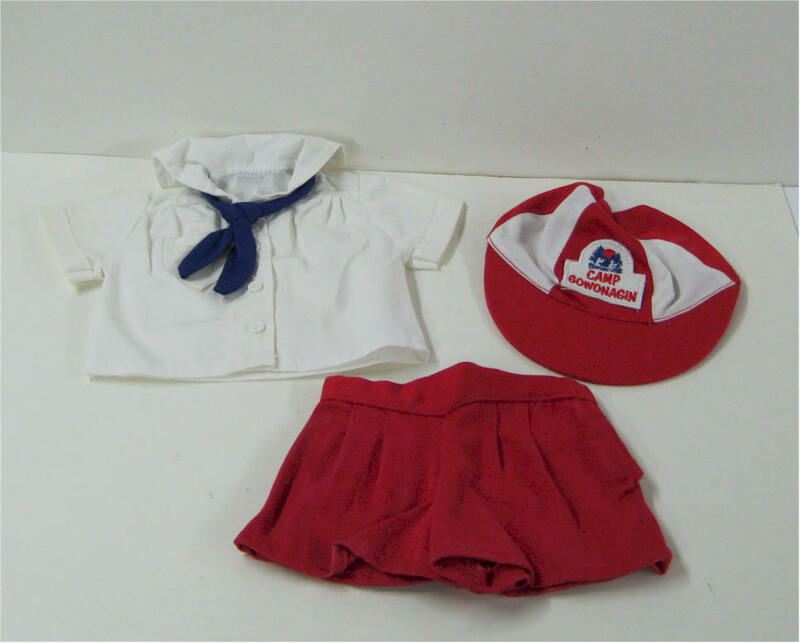 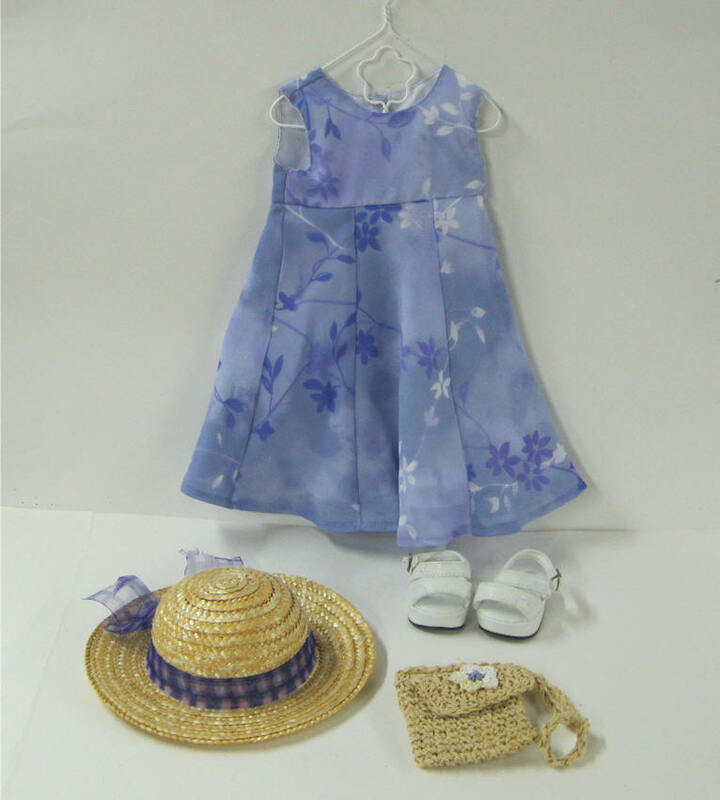 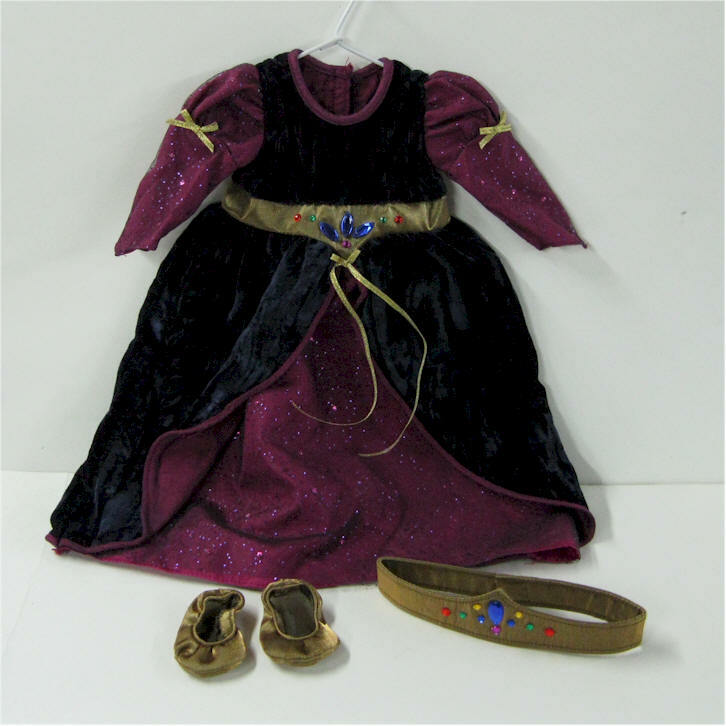 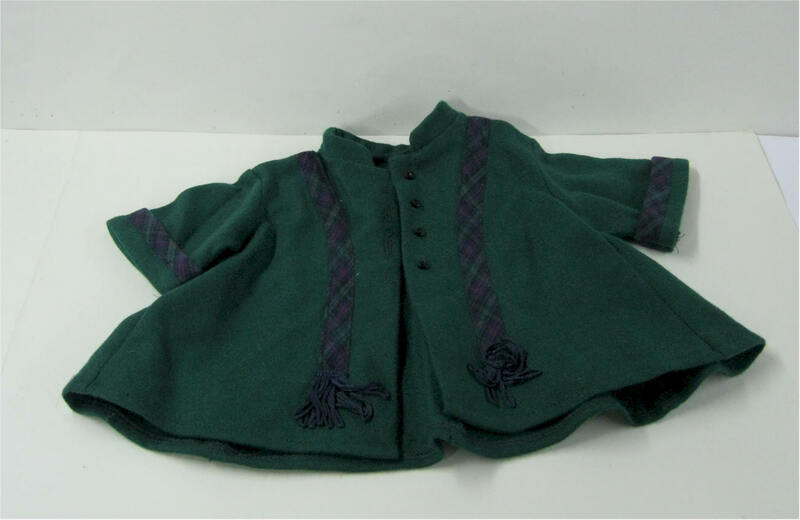 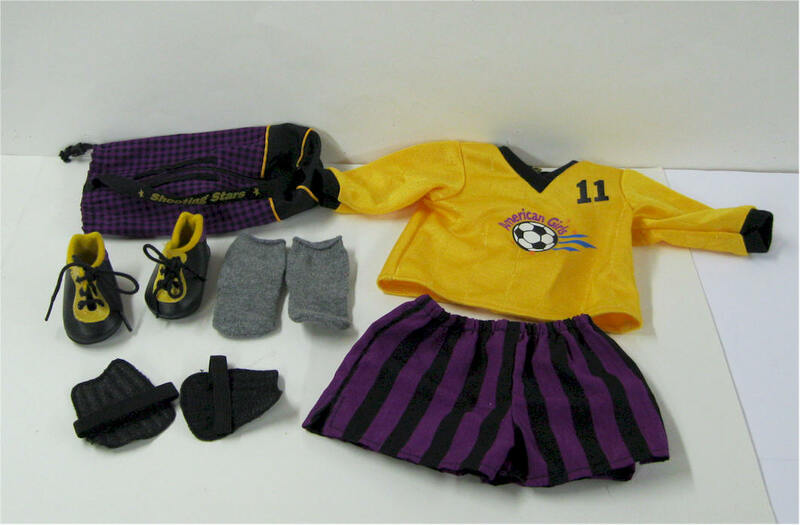 Price $29 SOLD American Girl doll "Birthday Lawn Party outfit" introduced in 1998, and retired in 1999. 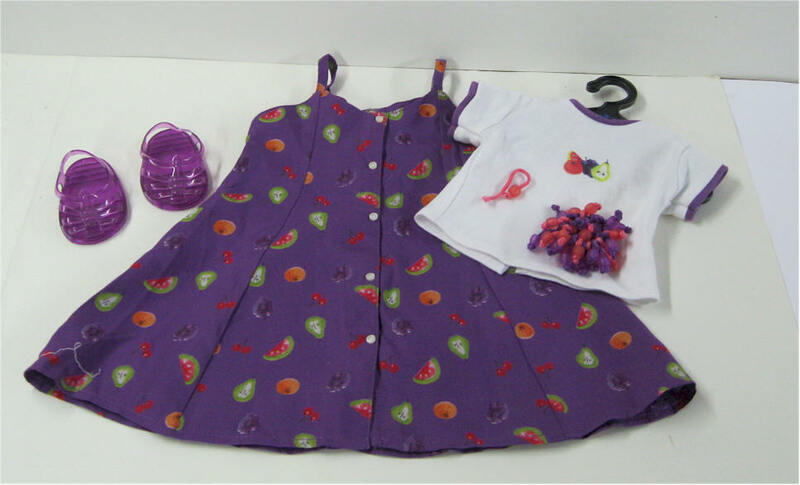 Included: white t-shirt with a fruity screen print and purple trim, the purple fruit print slip dress, purple jelly shoes and hair piece. 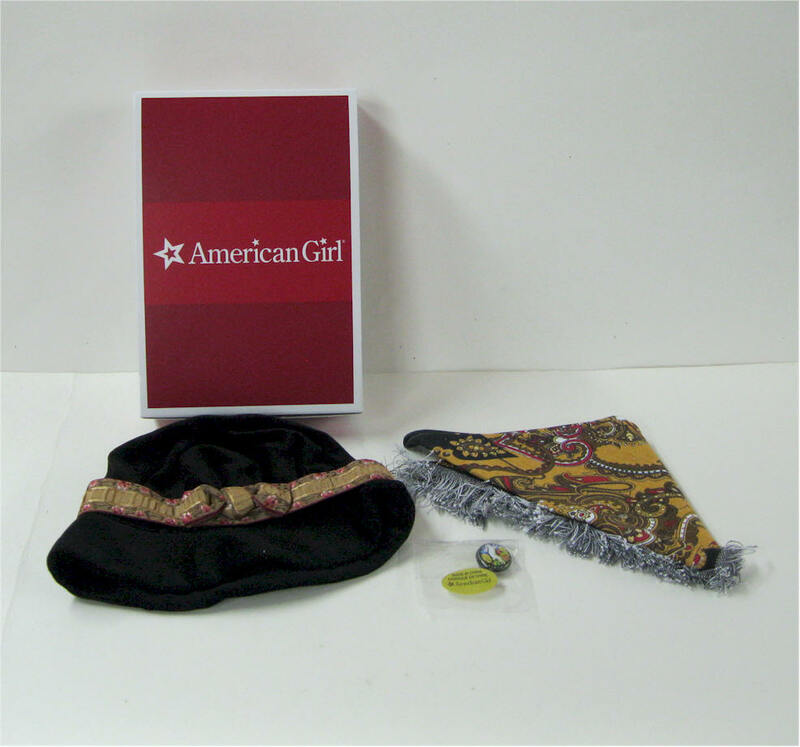 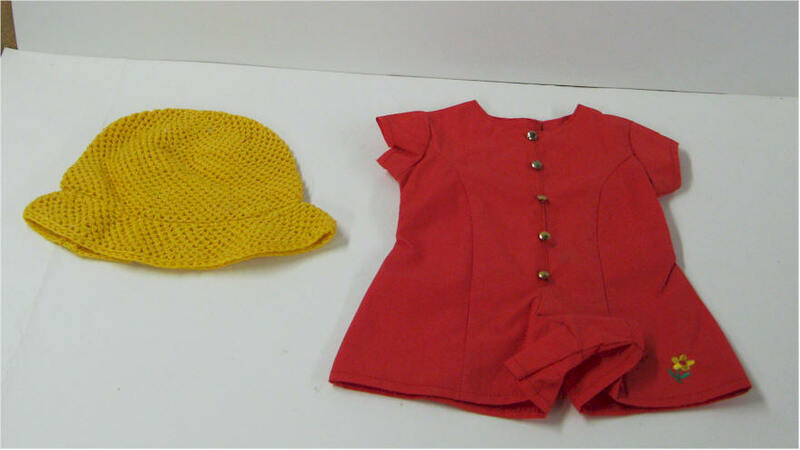 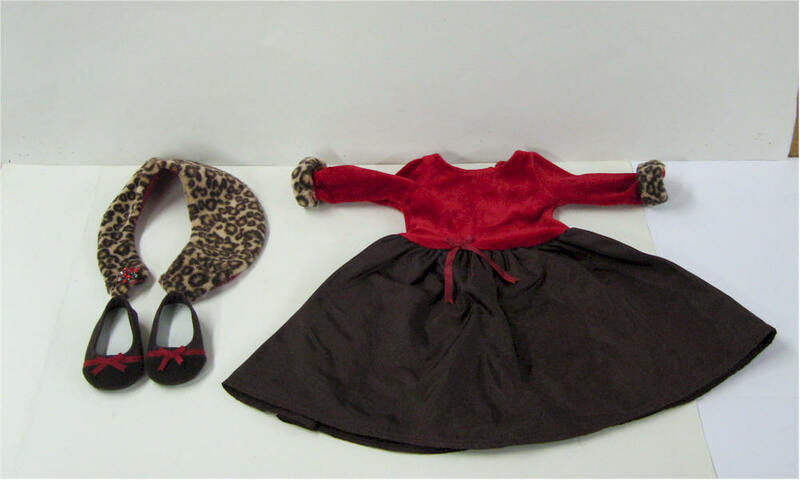 Marked: American Girl (romper) Pheasant (Hat) New Condition. 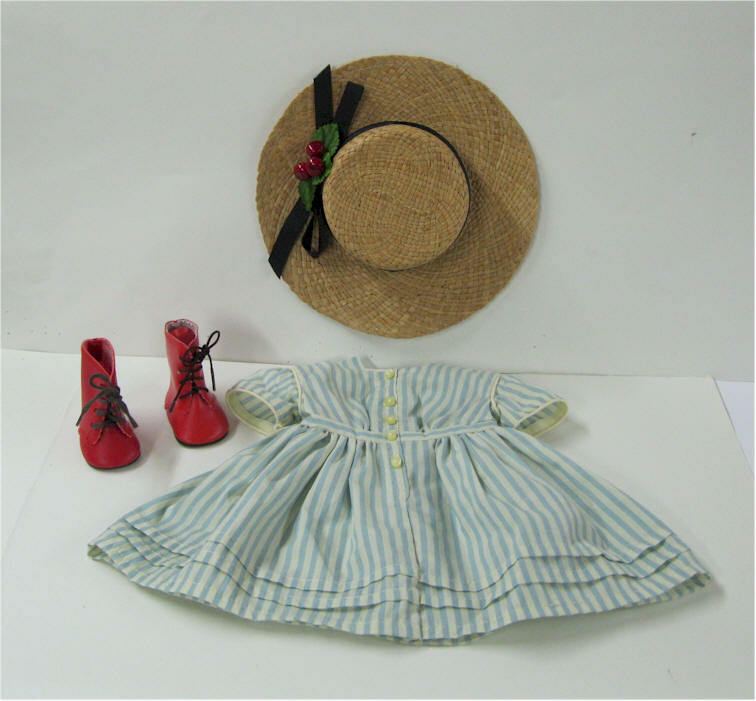 Price $22 SOLD Kirsten Summer Dress with hat and red boots. 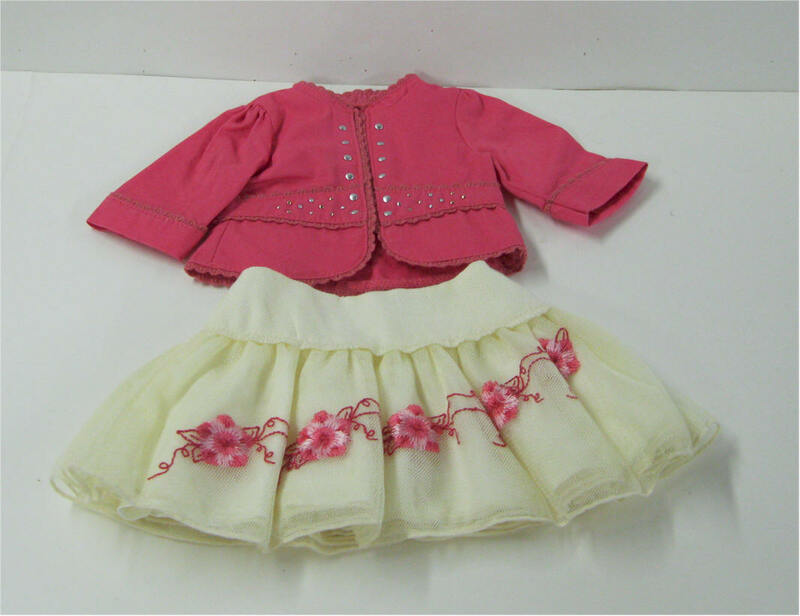 Rare Nicki Gala Outfit - Include: Skirt and jacket. 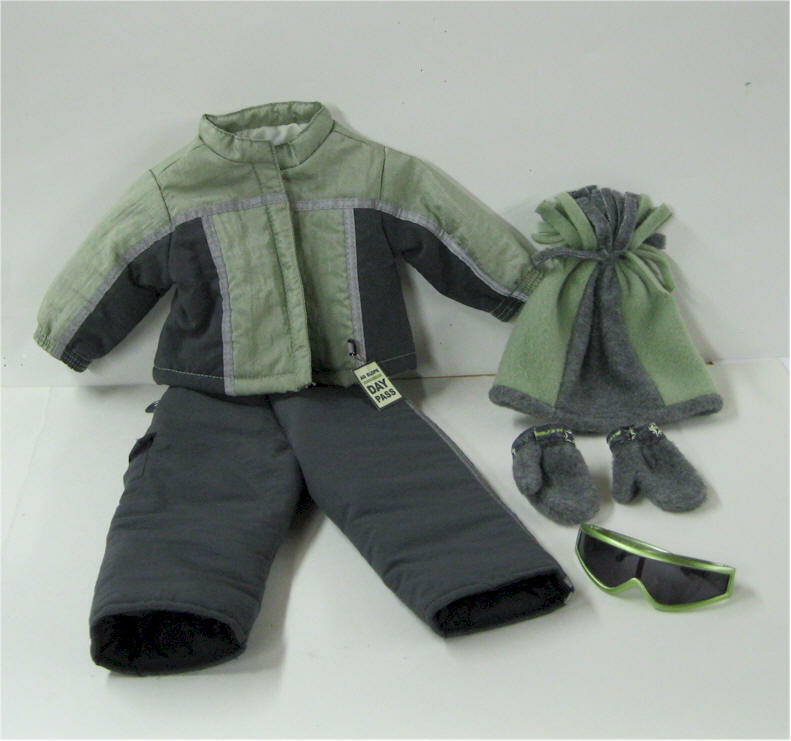 Price $28 SOLD Terrific Tubing outfit from 1977. 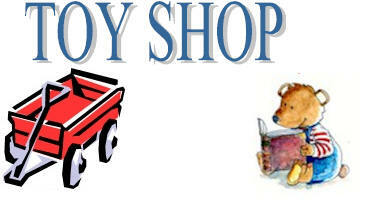 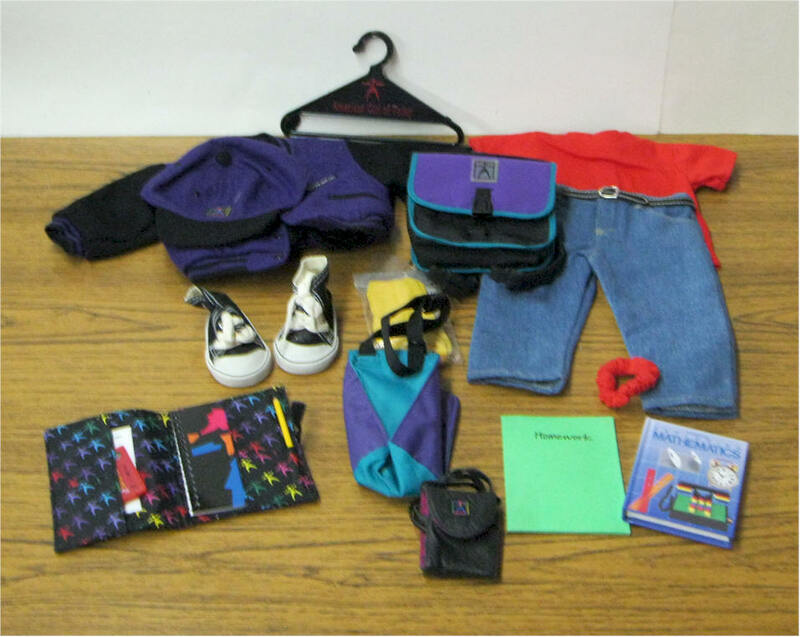 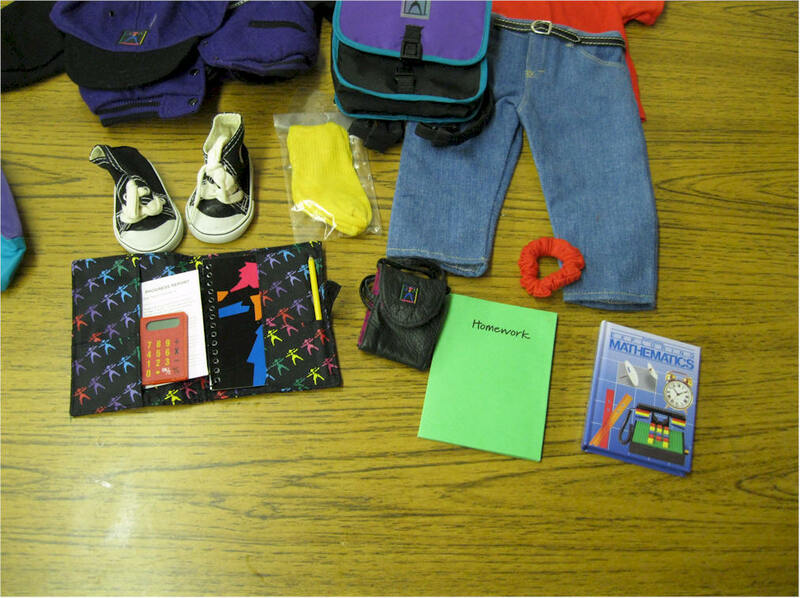 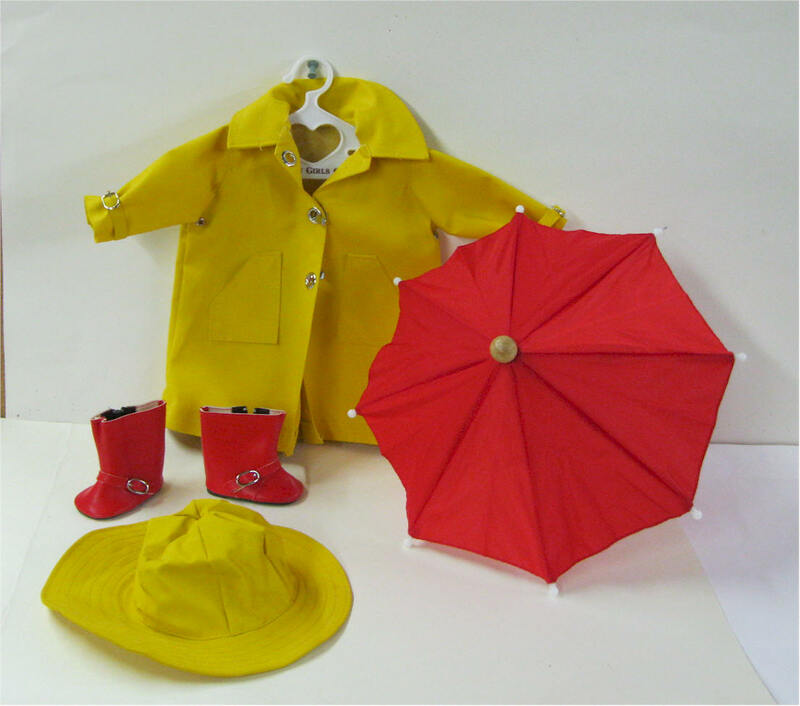 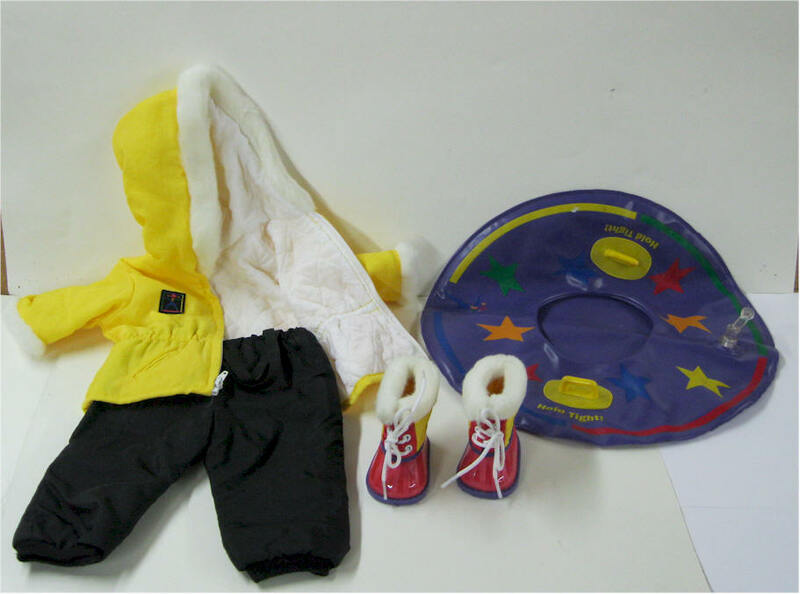 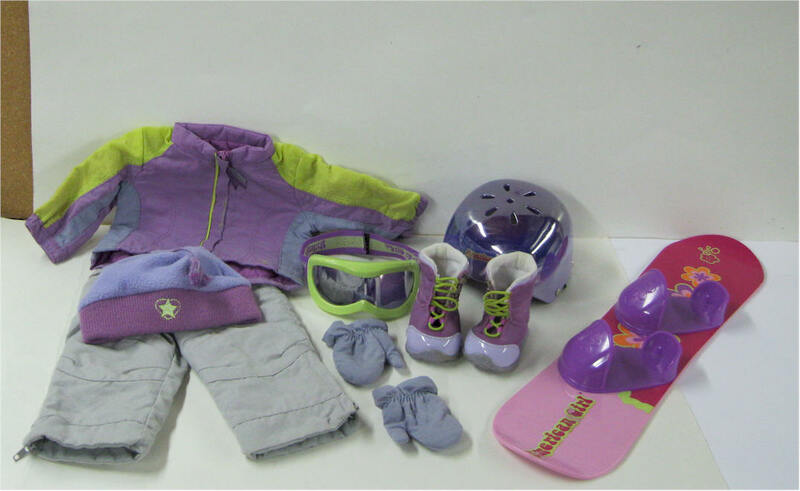 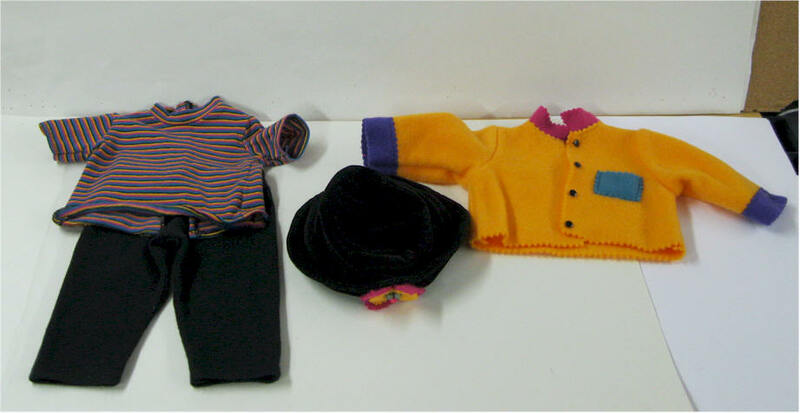 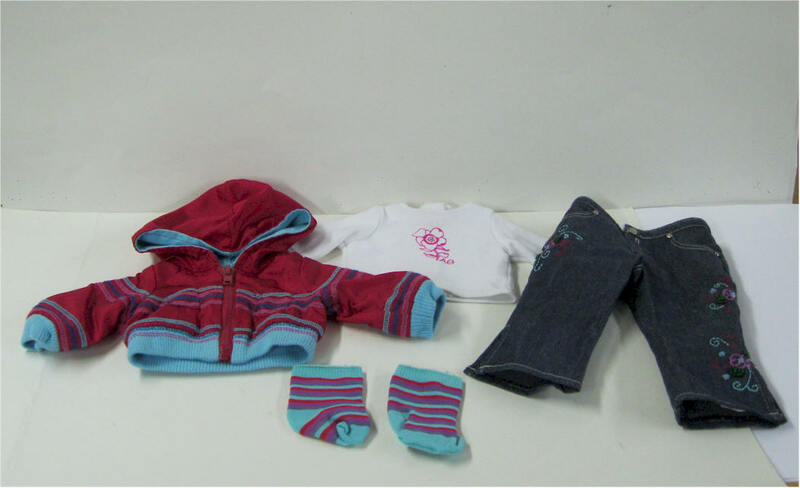 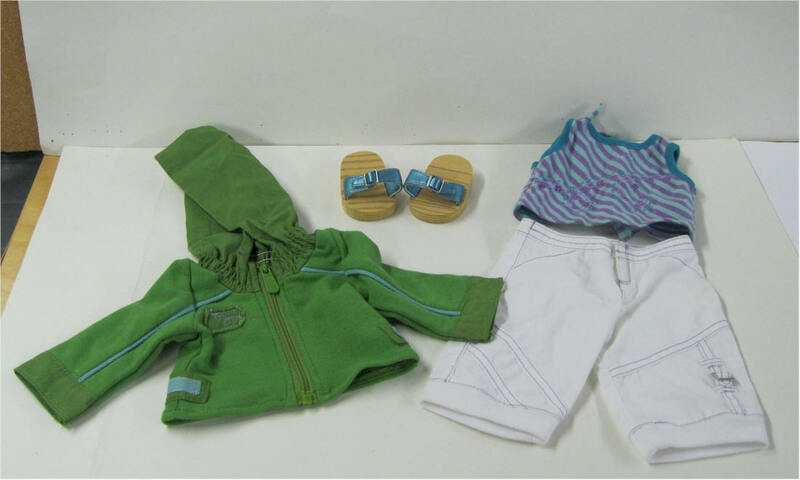 Includes black snow pants - snow boots - yellow hooded jacket - tube. 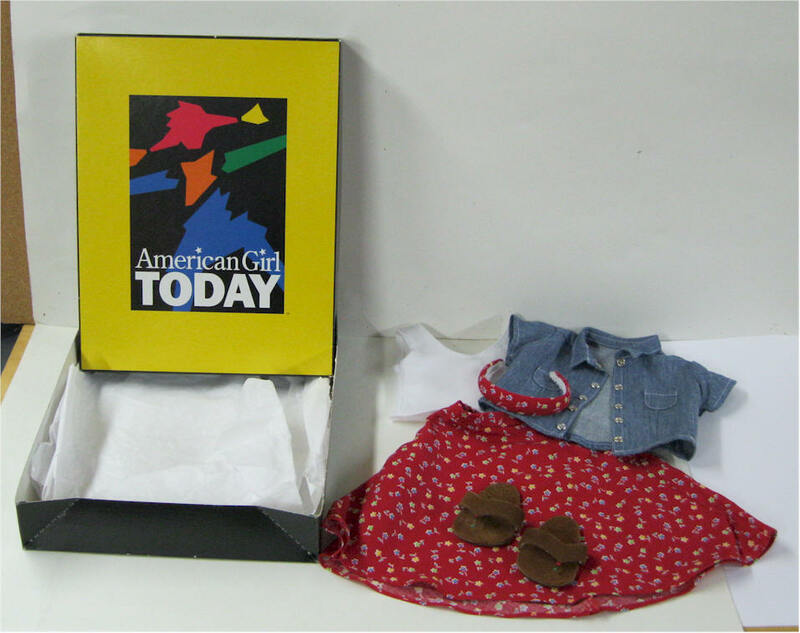 American Girl of today - Coconut Outfit retired - jacket - top - shoes - hair piece. 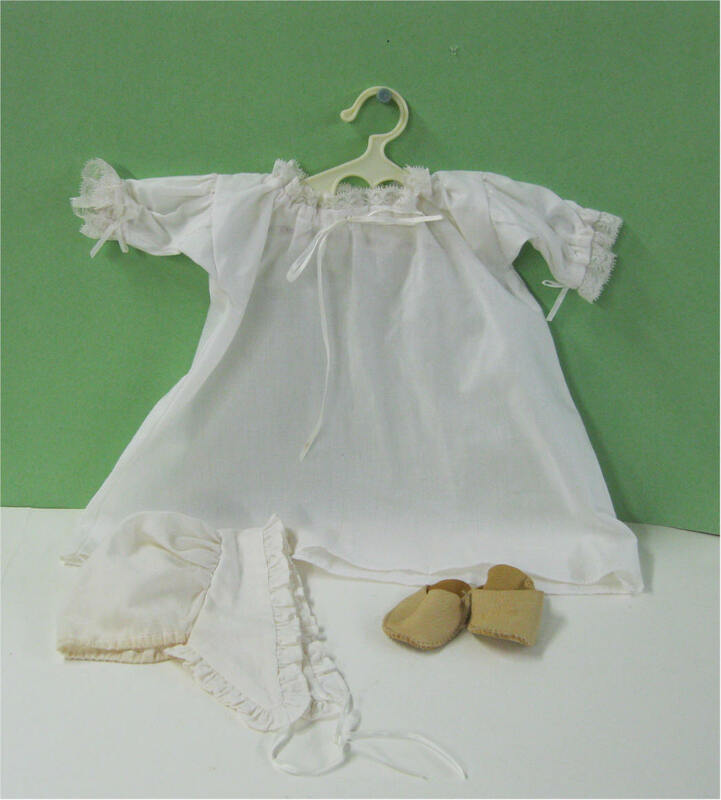 Josefina's Meet outfit - includes: white camisa--a long, lace-edged blouse--hangs nearly down to her knees. 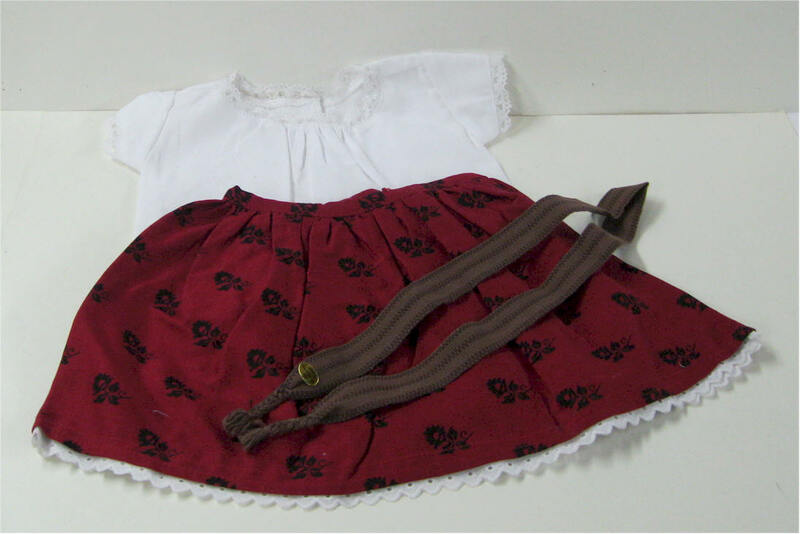 Over it she wears deep berry red skirt printed with small black flowers, and topped with a brown woven sash. 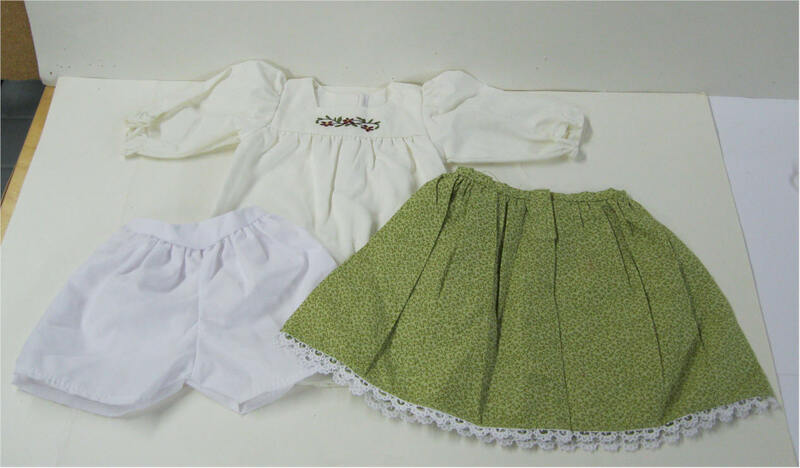 Also included are white under-drawers. 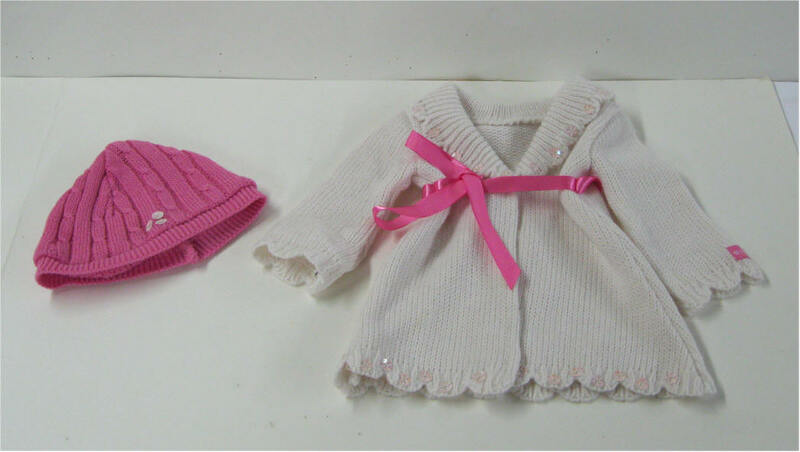 Christmas Snowball sweater set includes: Pink velour leggings pants, cream colored snow boots, pale pink iridescent sweater with matching headband.